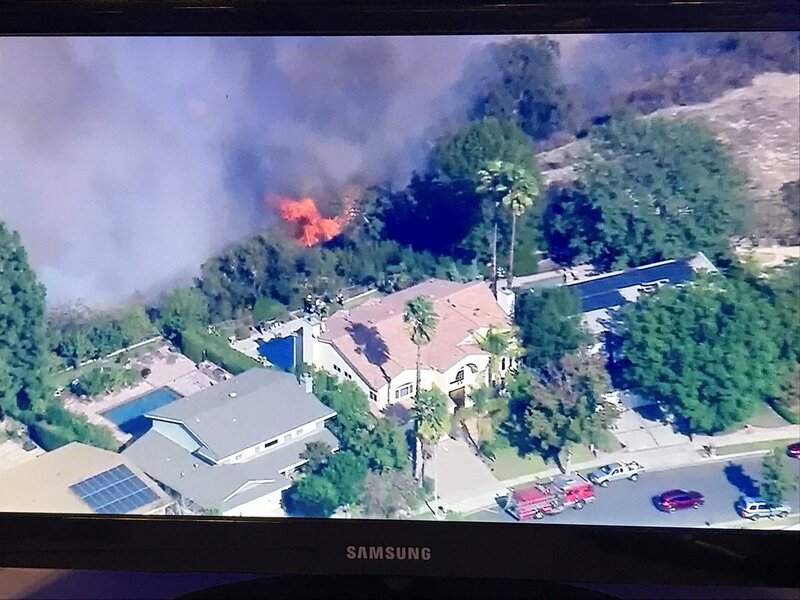 #WoolseyFire: Multiple calls reporting house on fire at 84 Sherwood Drive in Westlake Village. 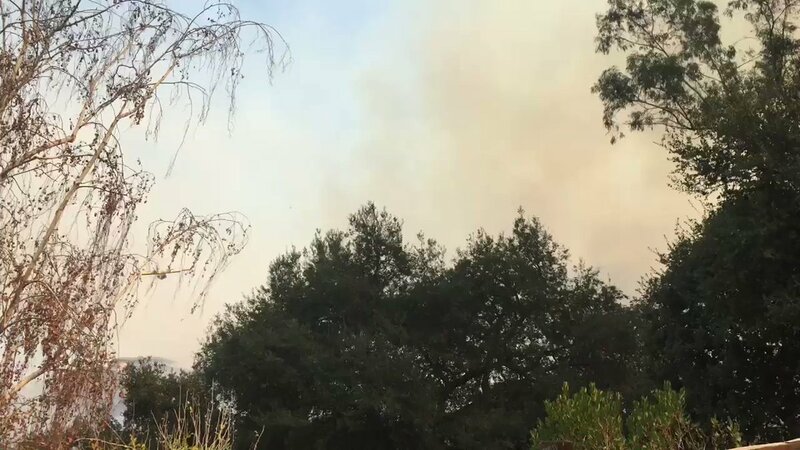 5001 Branciforte Drive: A fire has sparked in Santa Cruz about half an acre on Saturday afternoon. 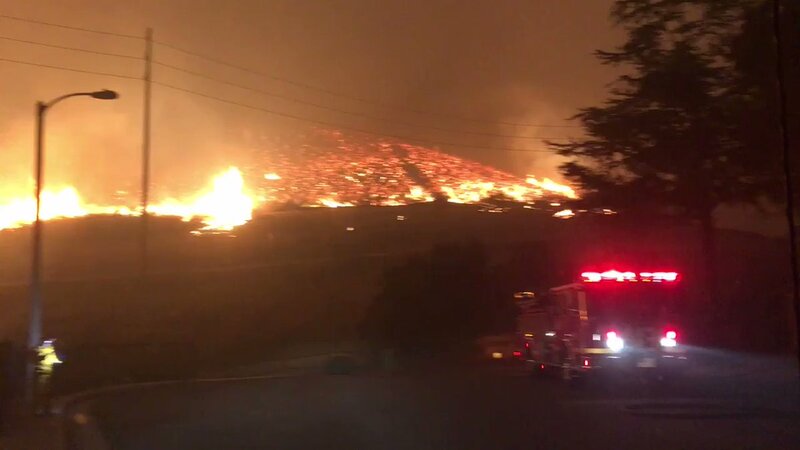 [email protected]: These California fires are expanding very, very quickly (in some cases 80-100 acres a minute). 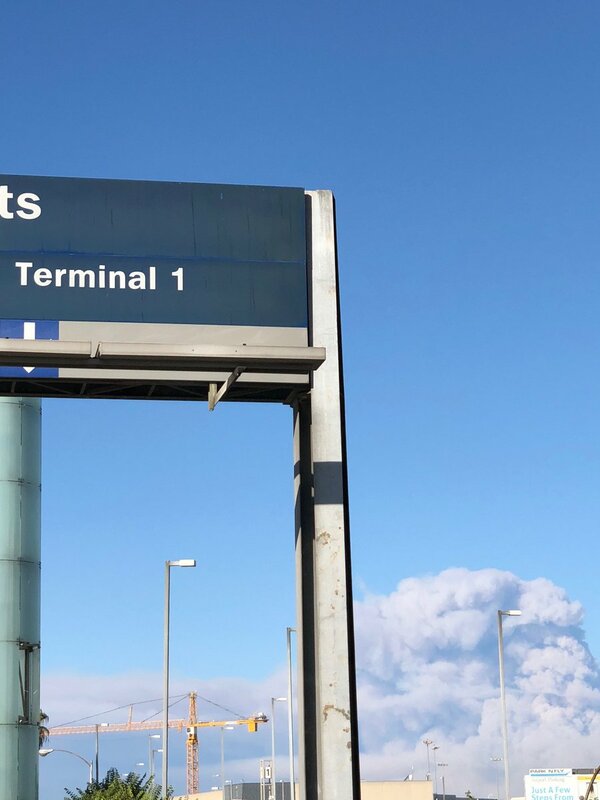 If people don't evacuate quickly, they risk being overtaken by the fire. 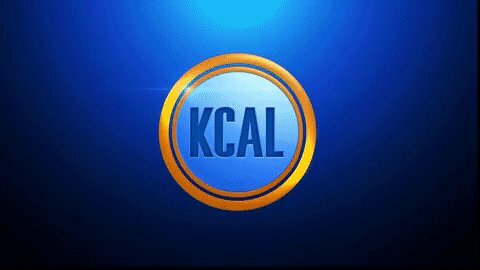 Please listen to evacuation orders from State and local officials. 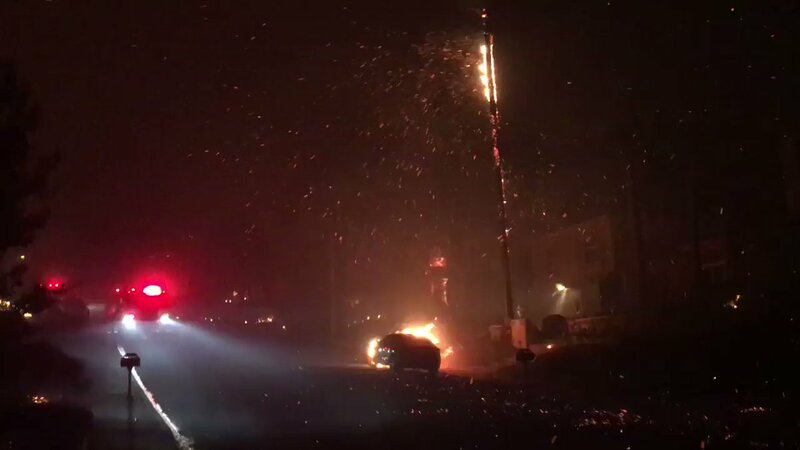 [email protected]: More than 4,000 are fighting the Camp and Woolsey Fires in California that have burned over 170,000 acres. Our hearts are with those fighting the fires, the 52,000 who have evacuated, and the families of the 11 who have died. The destruction is catastrophic. God Bless them all. 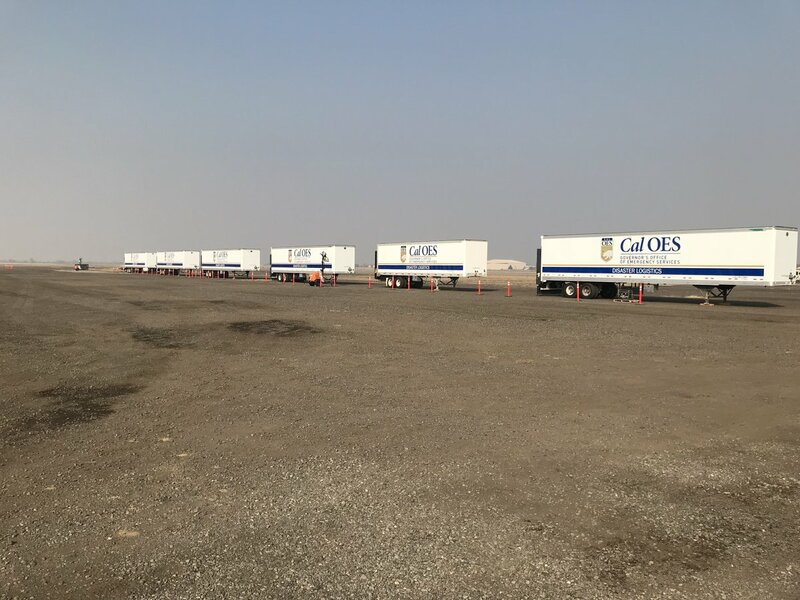 Emergency supplies staged in Chico ready for distribution. And much more on the way. Firefight underway on Welby Way in West Hills. 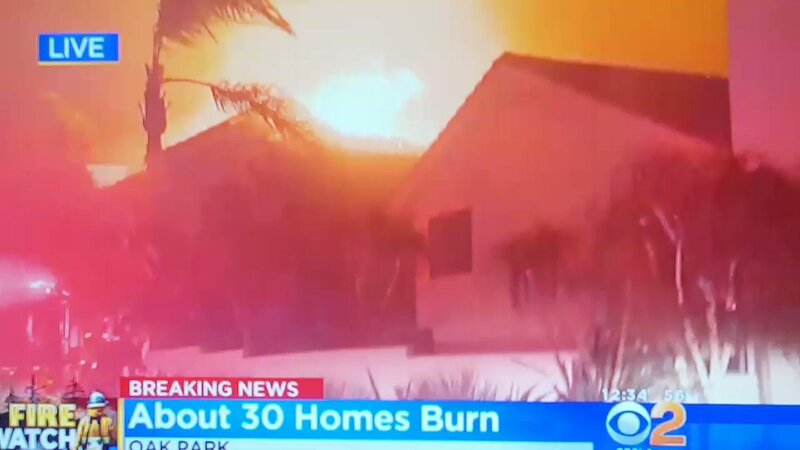 Flames threatening homes. Pair of earthquakes shake Vallejo area within minutes of each other. 2 homes have burned on Adamor Rd. 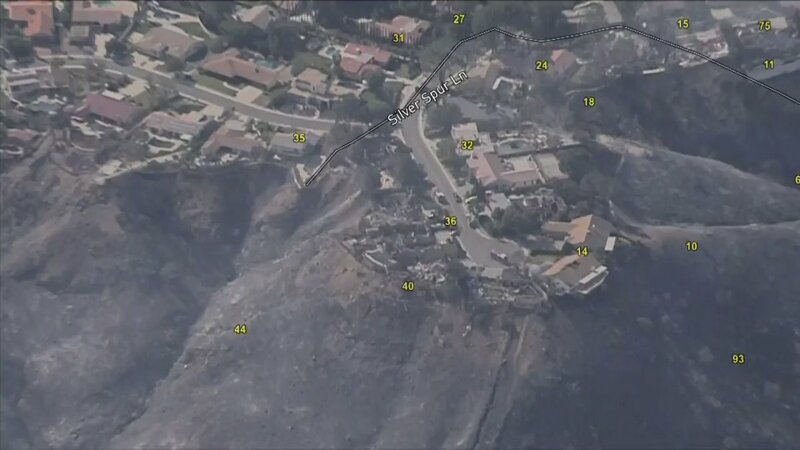 Near Parkmour Road In West Calabasas. Firefighters stacked valuables outside while fighting the flames. 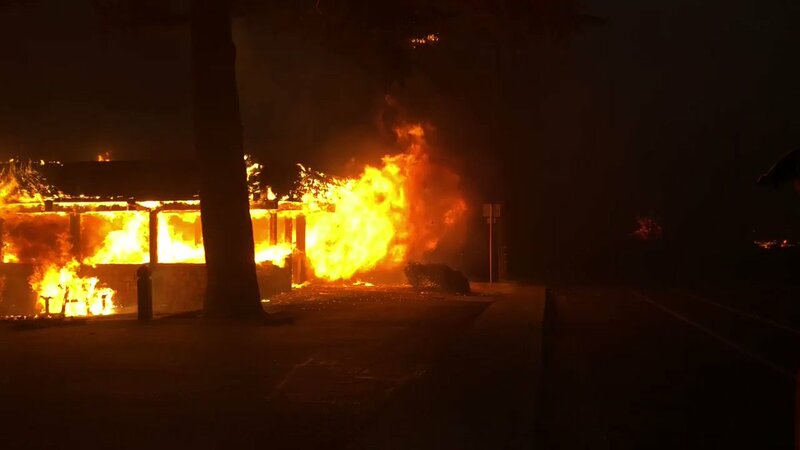 Six separate fires in Golden Park Friday and Saturday morning are being investigated as possible arson, according to San Francisco Fire Department. #WoolseyFire: Reports of flames impinging on 2 structures at 5738 Colodny in Agoura Hills. 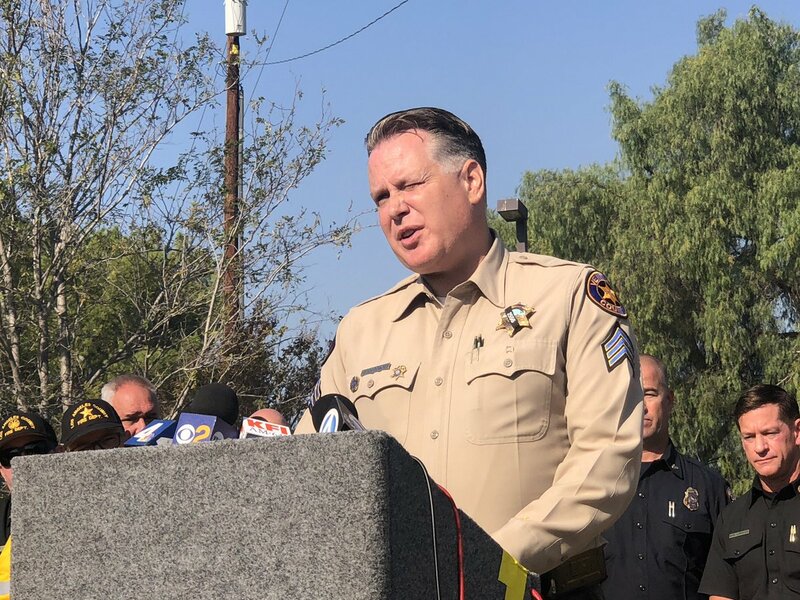 #Woolseyfire, #Hillfire,: there will be a press conference this morning at 9:30 AM at Conejo Creek Park in Thousand Oaks. 1300 E. Janss Rd. 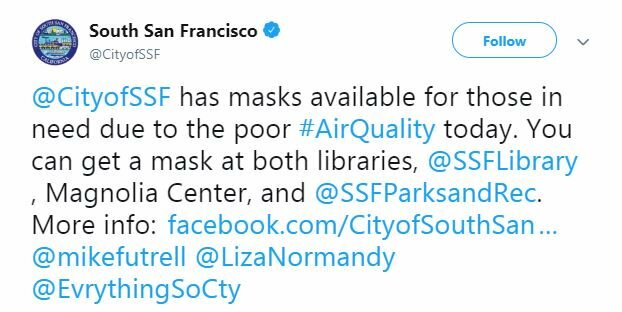 SF air quality is RED(UNHEALTHY). Older adults, kids and people with heart/lung disease should avoid strenuous outdoor activities. 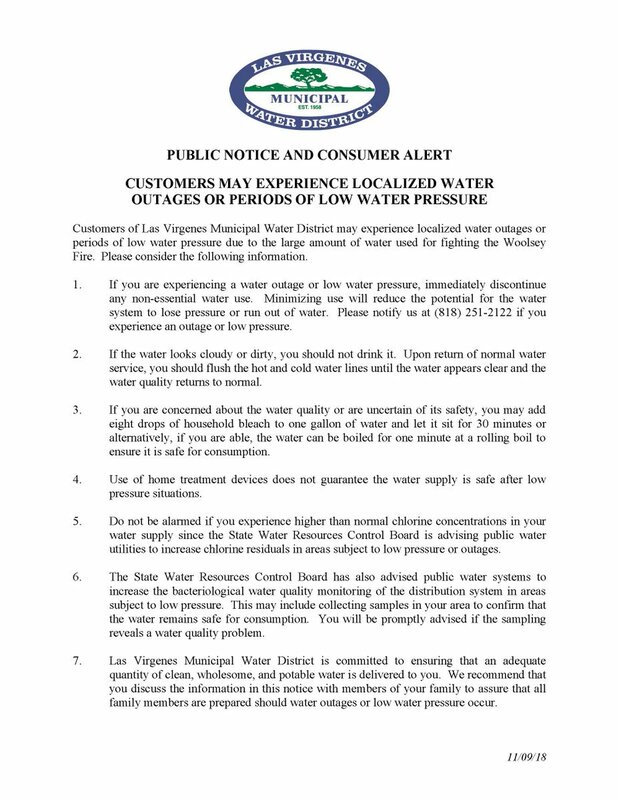 #WoolseyFire: Customers of Las Virgenes Municipal Water District may experience water outages or low water pressure. The sun is rising over Agoura Hills, where the fire has calmed. But the air is still filled with smoke. Donald Trump tweeted: "billions of dollars are given each year, with so many lives lost, all because of gross mismanagement of the forests. 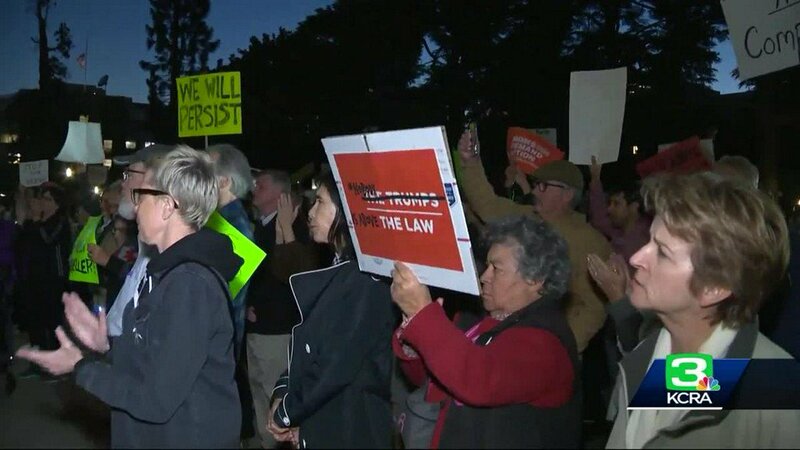 Remedy now, or no more Fed payments." #WoolseyFire: Structures burning in Corral Canyon. At least 3 structures involved and may lose more. 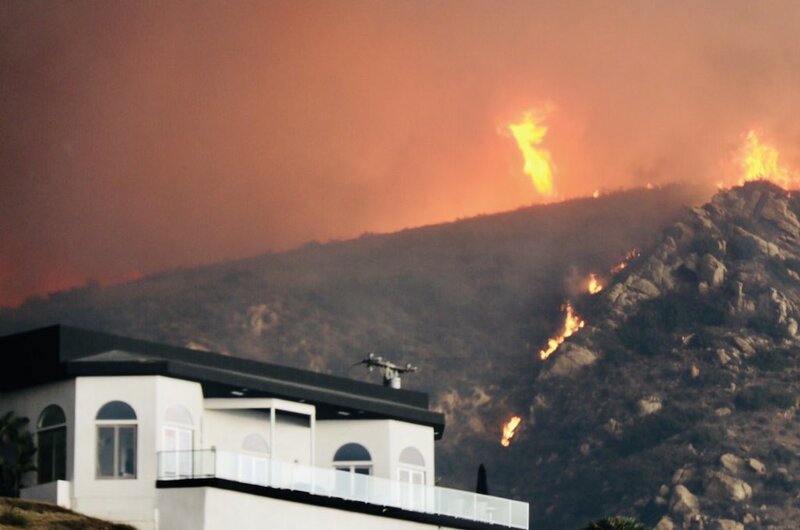 #WoolseyFire: Homes about to be impacted on Latigo Shore Drive in Malibu. Additional strike team requested to the area. #WoolseyFire: Fire impacting houses at 3619 and 3621 Malibu Country Drive at Pepperdine. #WoolseyFire: Structure protection group at Pepperdine setting up structure protection at HRL Laboratories just east of campus. 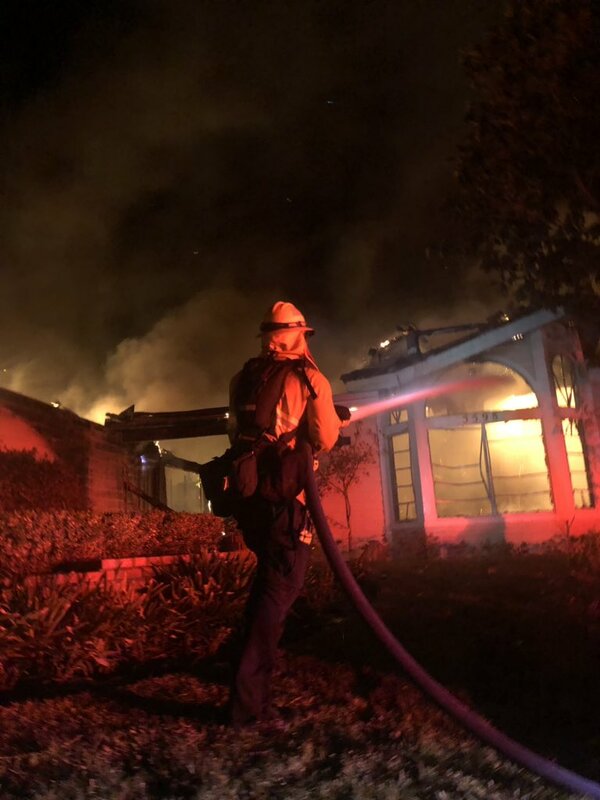 #WoolseyFire: House fully involved at 18 Peregrine Circle in Oak Park. Fire is exposing 2 structures but crews have the fire in check. 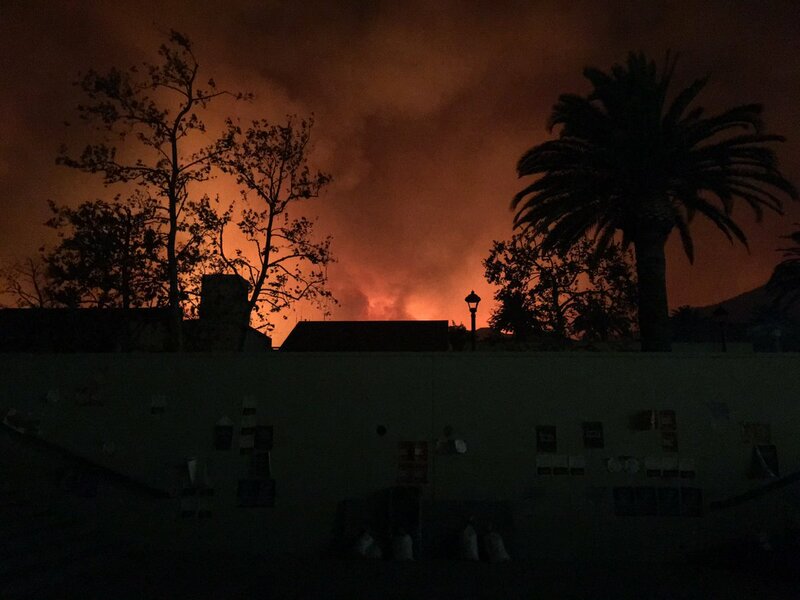 #Pepperdine president: The fire on campus continues to flare up and the fire department continues to beat it back. Helicopter operations are very effective and impressive. Power just went out again. If you're heading N on the 101, you can't get any further than the Parkway Calabasas exit- it's blocked off at that point. The neighborhood is blacked out, deserted, and stinks of smoke. #WoolseyFire: Apartment building with heavy smoke showing and embers from the roof at Pepperdine. Reported to be off of John Tyler Drive. [email protected]: There is no reason for these massive, deadly and costly forest fires in California except that forest management is so poor. Billions of dollars are given each year, with so many lives lost, all because of gross mismanagement of the forests. Remedy now, or no more Fed payments. 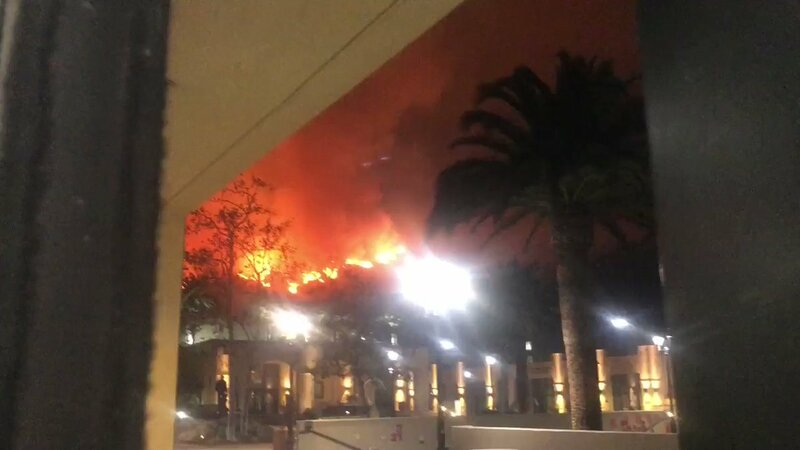 #WoolseyFire: Outbuildings are on fire on the Pepperdine campus. 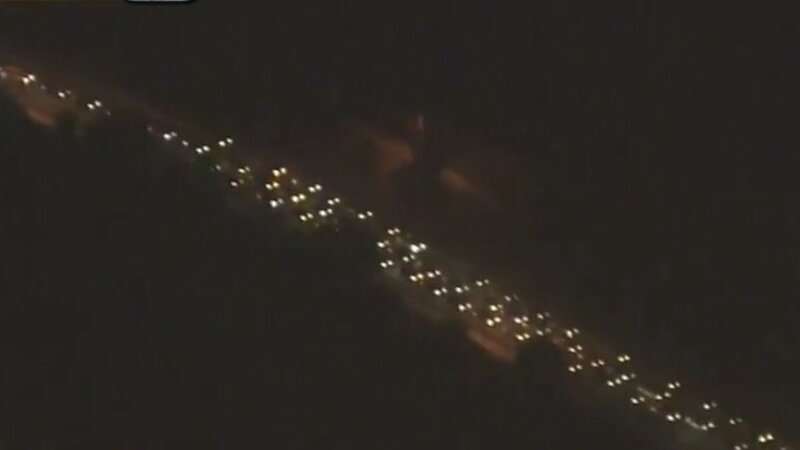 #WoolseyFire: Moving 4 more strike teams (20 engines) into Pepperdine. Reevaluating the decision to shelter students in place. #Woolseyfire #PointDume Homes on the 6500-6700 block of Dume Dr unfortunately got hit REAL hard. [email protected] gives @pepperdine students information on the current situation. Tension in his voice as he describes problems with miscommunication. #WoolseyFire impacting houses next to Pepperdine at Bayberry and Laurel Ridge, Strike Teams being sent in. 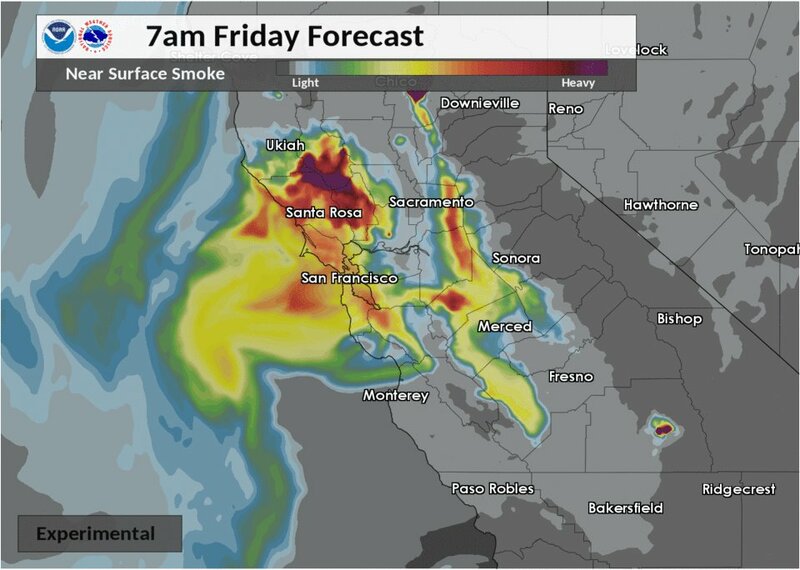 Smoke will continue to impact the Bay Area this weekend. 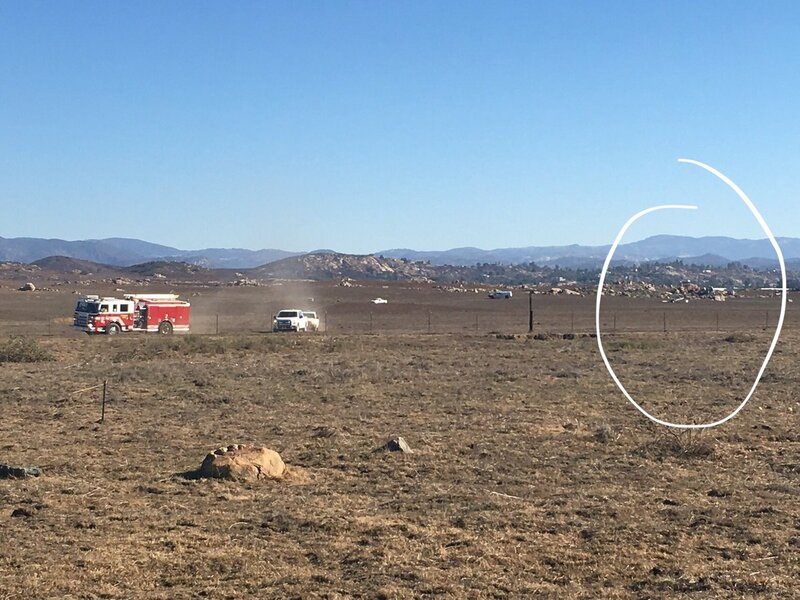 PHOTO: Stanley the Giraffe is safe, but other animals on the Semler's Malibu property are unaccounted for, according to an update from the family. 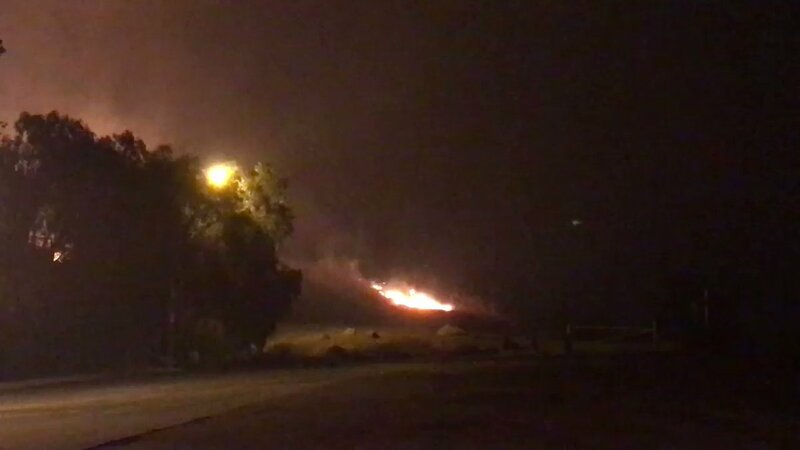 #WoolseyFire: The fire has crested the ridge and is halfway down the hill towards Pepperdine University. 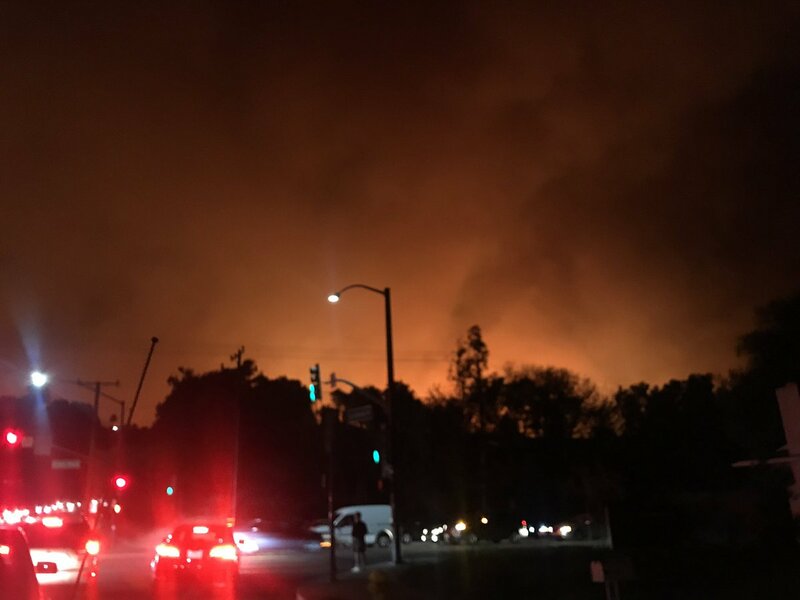 #Woolseyfire keeps getting closer to @pepperdine campus. Students are still in shelter-in-place locations. 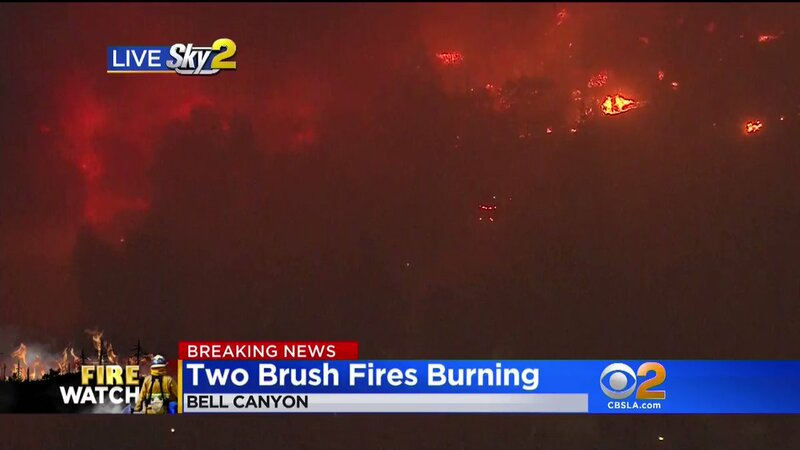 Sky9's Stu Mundel is over Malibu with the latest on the #WoolseyFire. 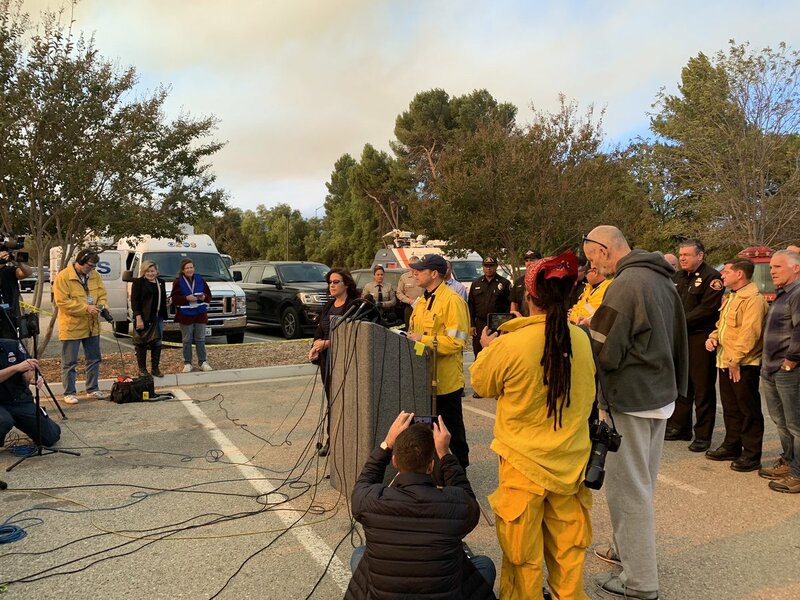 Lt. Nani Cholakians in the Los Angeles County Medical Examiner-Coroner's Office said two bodies have been found in the Malibu area of the WoolseyFire. Coroner investigators have not yet responded to the scene to confirm if the deaths are fire-related, she said. #WoolseyFire: Another structure burning on Adamor in Calabasas. Unknown address. Requesting additional equipment. Photographs from Pepperdine's Malibu campus. #WoolseyFire: Approx. 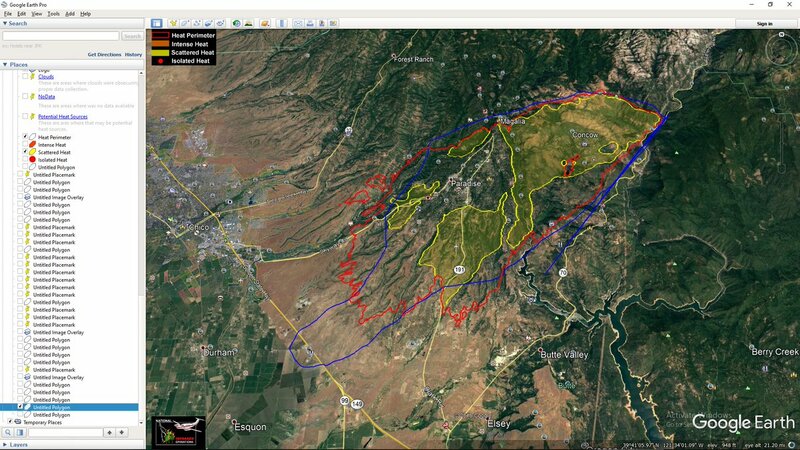 35,000 acres, 0% contained, very significant number of homes in the operational area damaged or destroyed by fire. 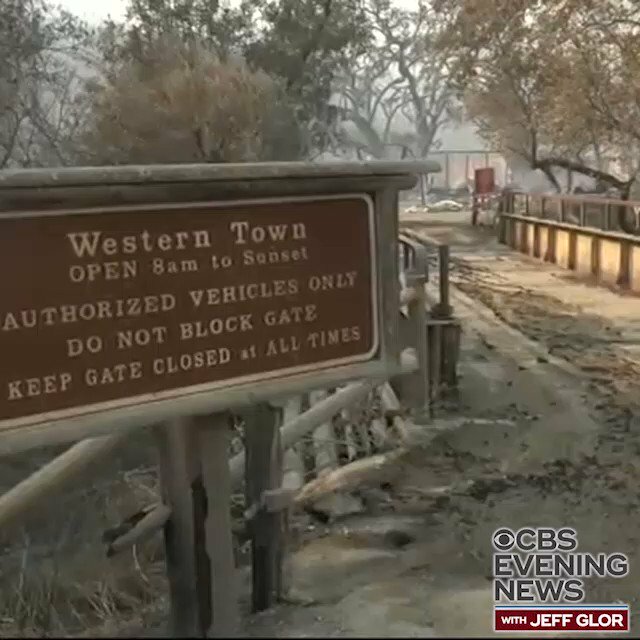 More than 200,000 residents and 75,000 homes under mandatory evacuation. 0700 @CAL_FIRE will assume command of this fire. 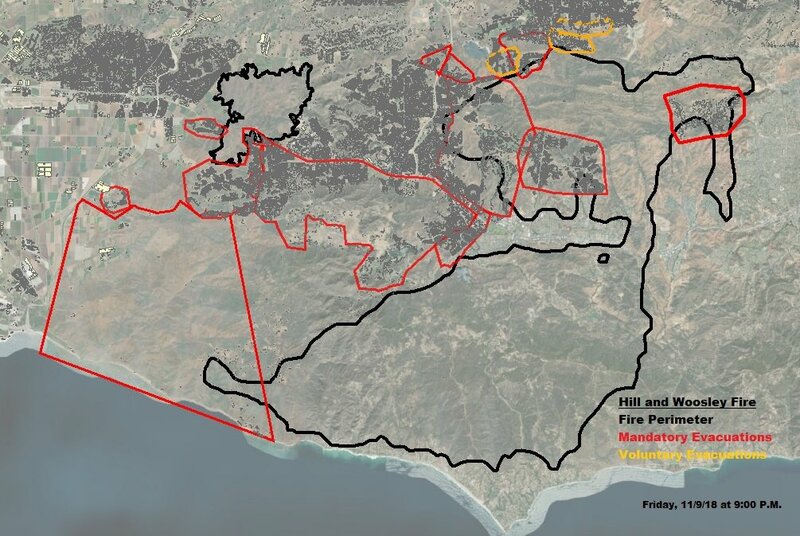 Overview look at the current fire and evacuation perimeters for #WoolseyFire #HillFire. The black area represents acres burned - more than 39,000 combined. 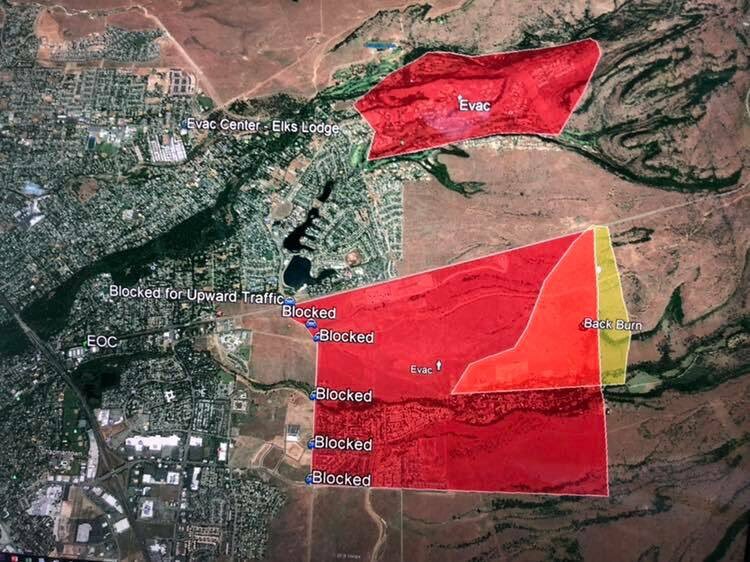 The red + yellow areas represent the 95,000 residents evacuated in ⁦@CountyVentura⁩. 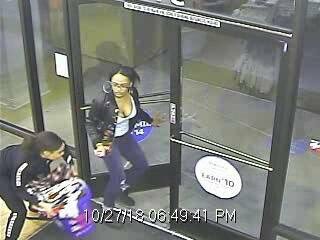 Stockton police officers are looking for two women who walked out of Carter's store on Pacific Ave with multiple items without paying. 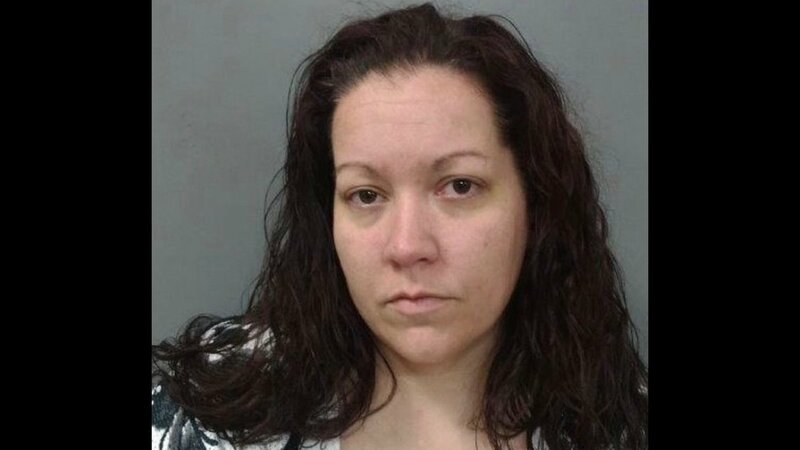 As they fled, detectives say one of the suspects pepper sprayed an employee who attempted to detain the two suspects. Life-saving technology. 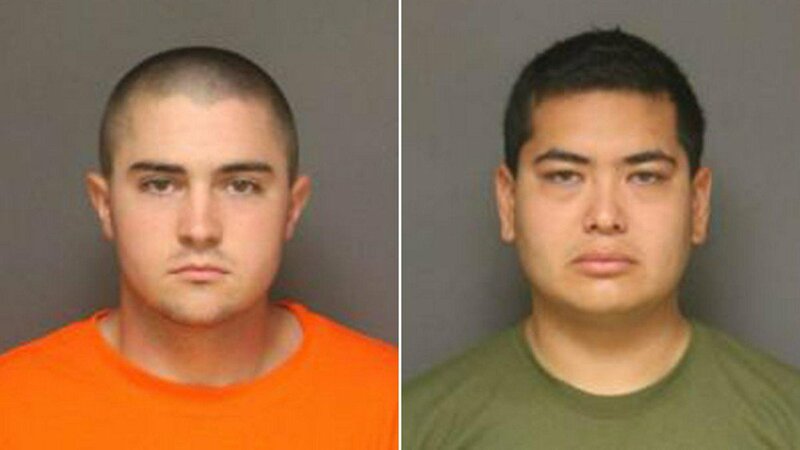 @SunnyvaleDPS says a resident's "Text-to-911" during an in-progress home burglary helped officers nab the suspects. 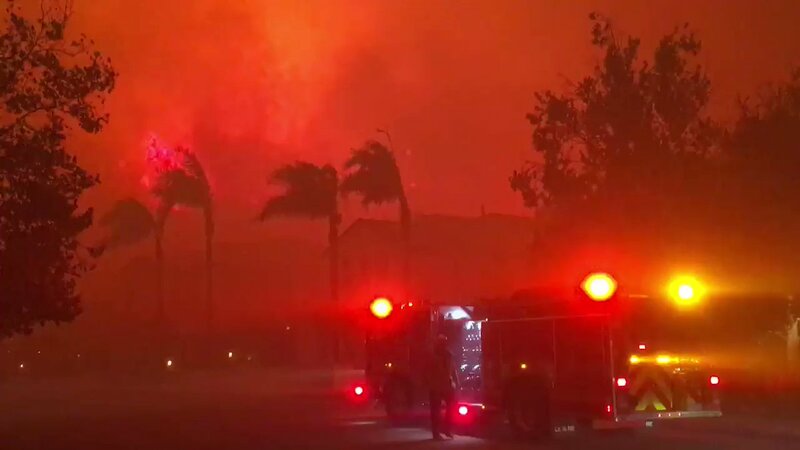 The fast-spreading Woolsey Fire has burned 35,000 acres, has destroyed at least 150 homes and has forced the evacuation of more than 250,000 people. 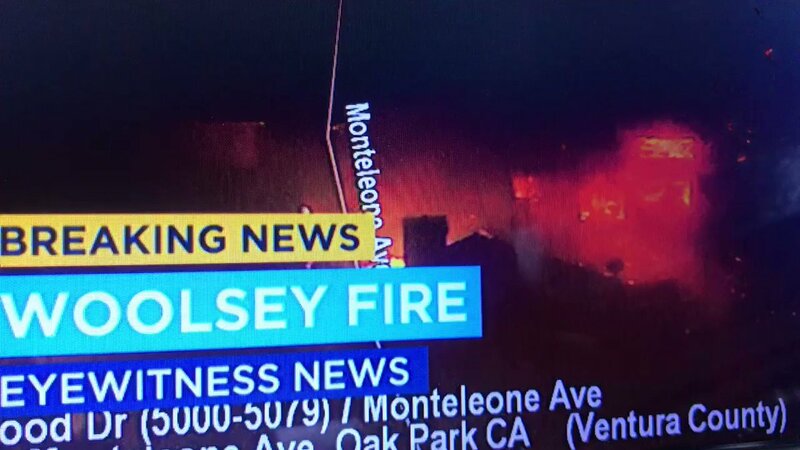 The #WoolseyFire has reached Los Angeles city limits. 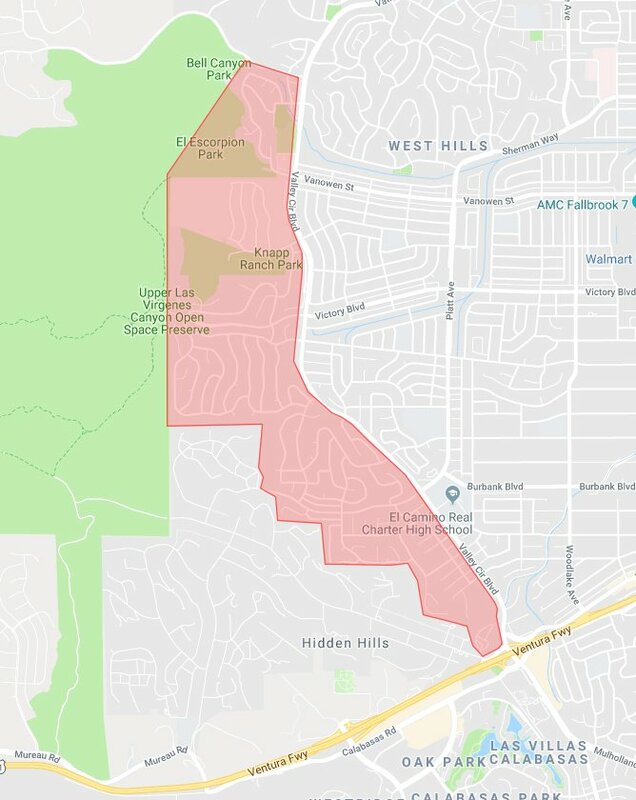 Evacuations ordered in western San Fernando Valley, neighborhood of West Hills. 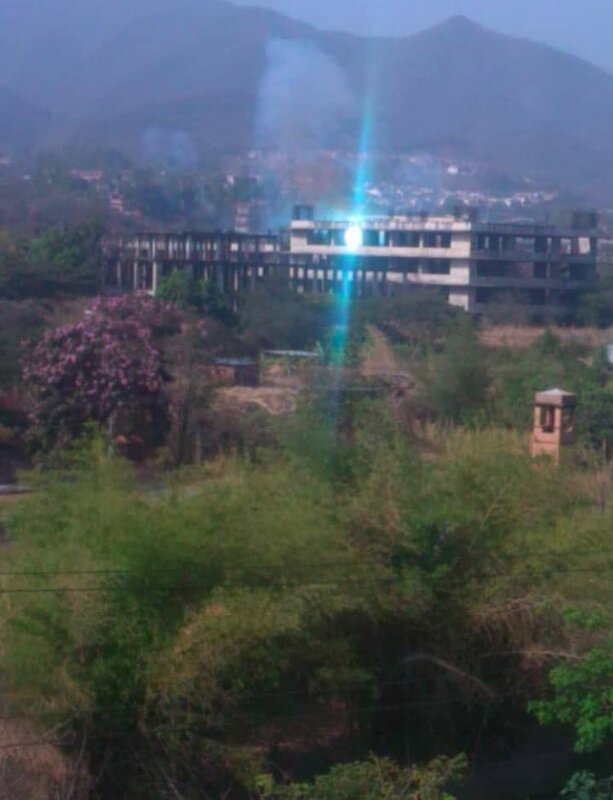 Firefight continues in some parts of Paradise. 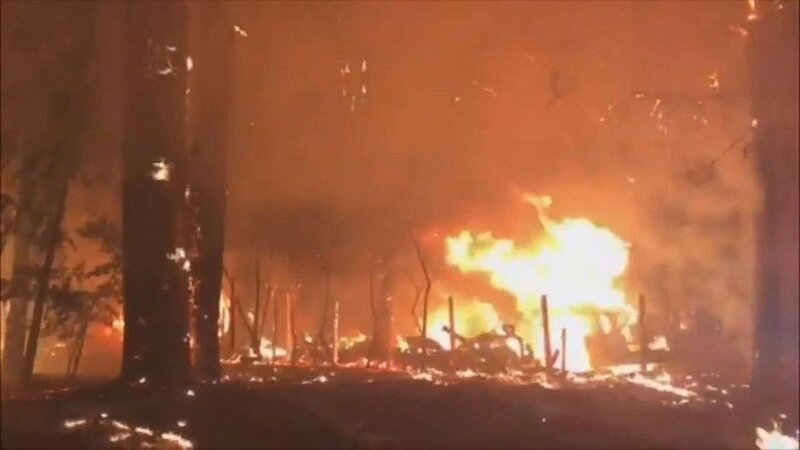 The Atria retirement home is among at least 2000 structures destroyed so far in the CampFire. 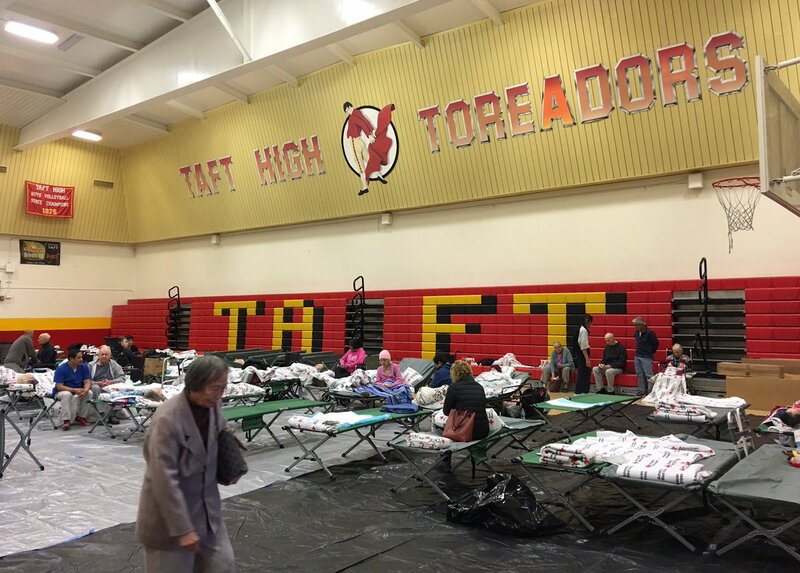 Red Cross shelter for WoolseyFire evacuees at Taft High in Woodland Hills, with room for 150+ people, is full. Dozens are residents and staff of senior-care facilities. Many would-be shelter volunteers are dealing with their own evacuations. This is 1 of 4 Red Cross shelters. 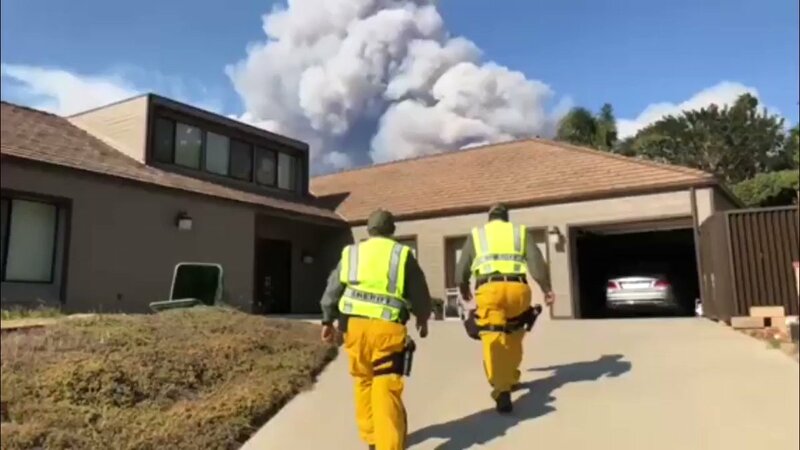 Malibu #WoolseyFire LASD Deputies Going Door to Door- MANDATORY EVACUATION is in effect for all of Malibu, and the area south of the 101 Fwy from Ventura County line to Topanga Cyn. Road and south all way to the ocean. 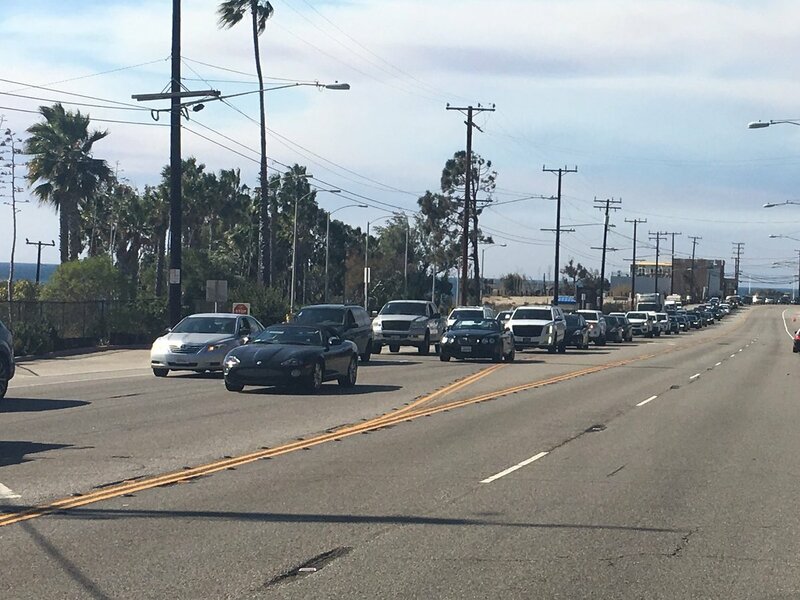 Residents should use PCH to evacuate, avoid canyon roads. Per #WoolseyFire incident commander. Fire is estimated at 14,000 acres. 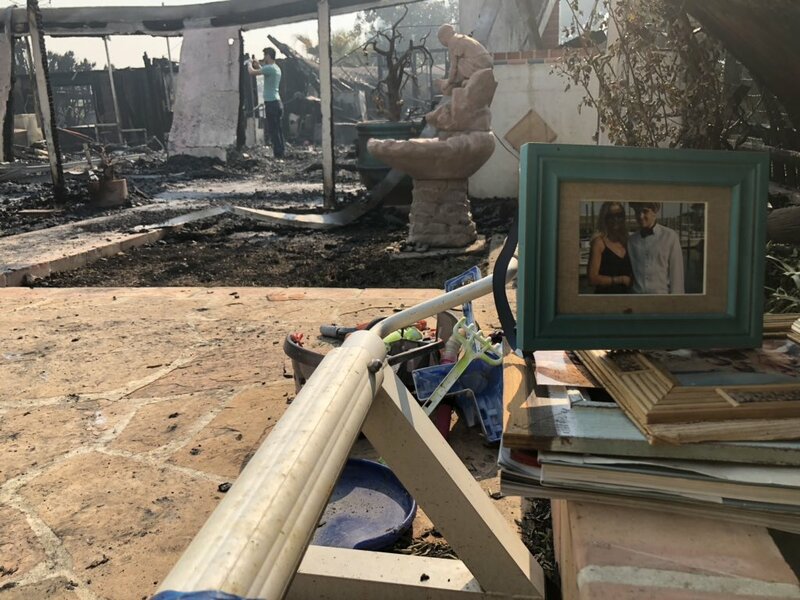 Grape Arbor Park has been destroyed by the #WoolseyFire in Calabasas. 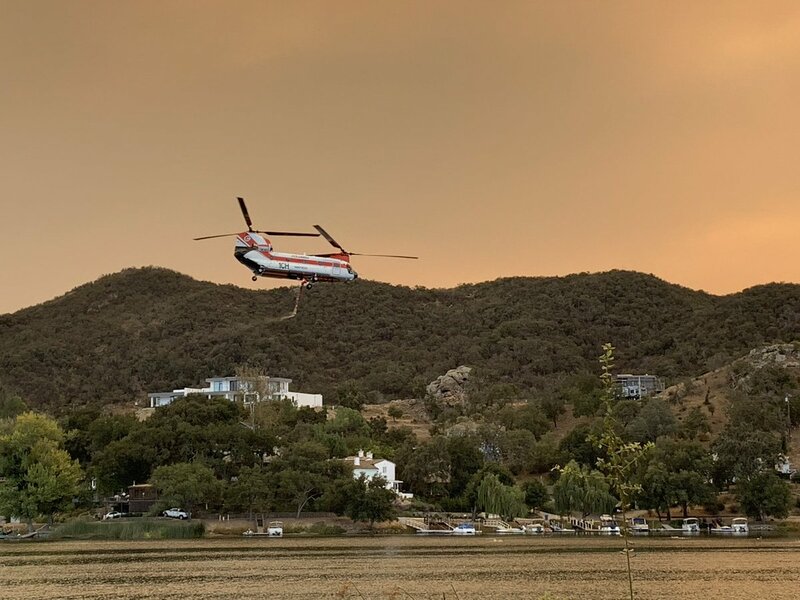 As of this morning, the HillFire has burned 6,000 acres and is at 0 percent containment, @VCFD_PIO says. 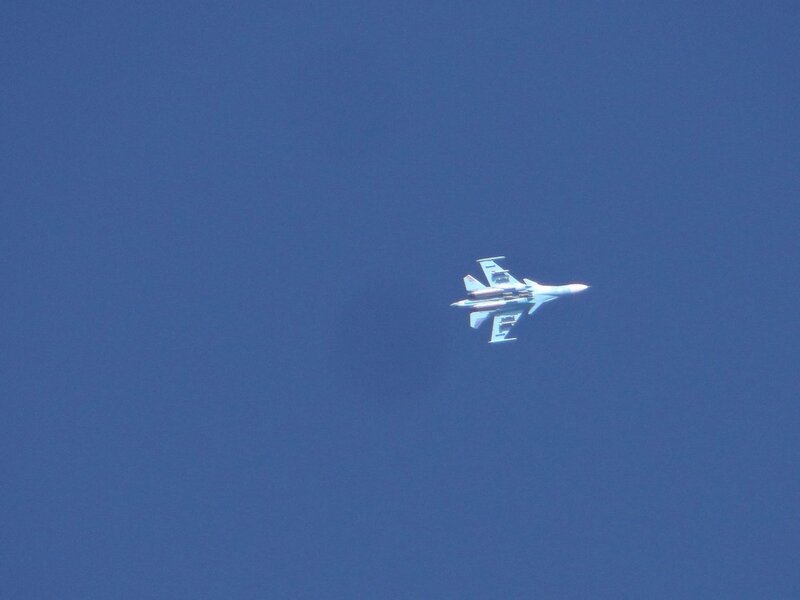 #CampFire finally the @GlobalSuperTank T-944 is being used on the fire. 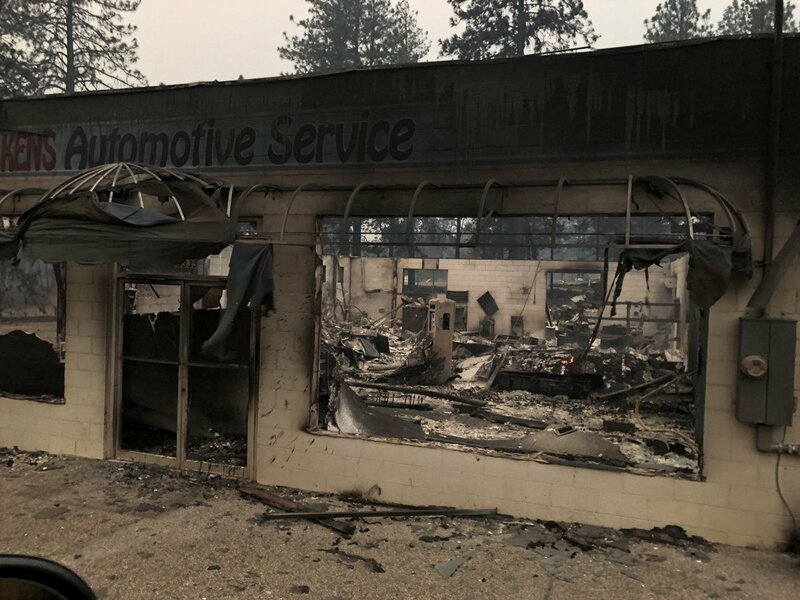 5 people confirmed dead in Butte Co #CampFire. @ButteSheriff says they were overcome by smoke while trying to escape in car. 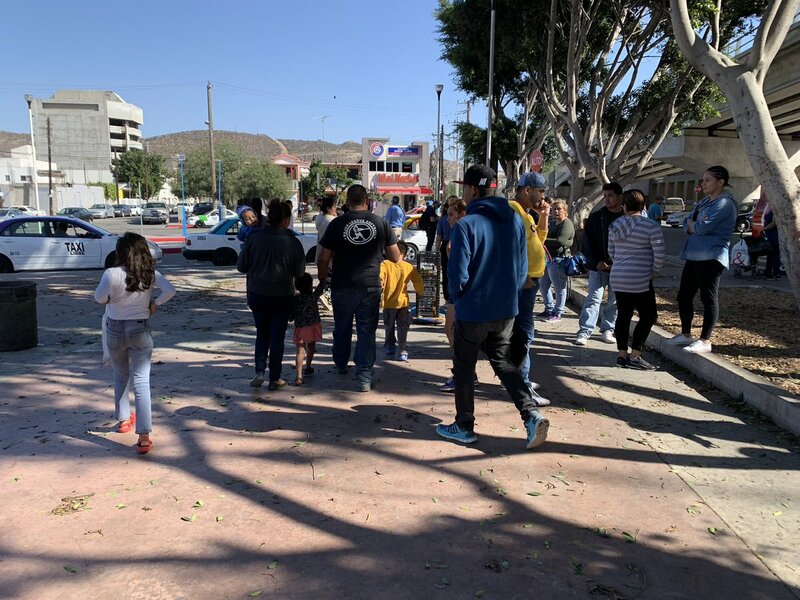 At the San Ysidro port of entry the current wait list for asylum seekers is over 1,000, according to lawyers who work with them. A family I spoke with was told they had to wait 3-4 weeks before their number was called. 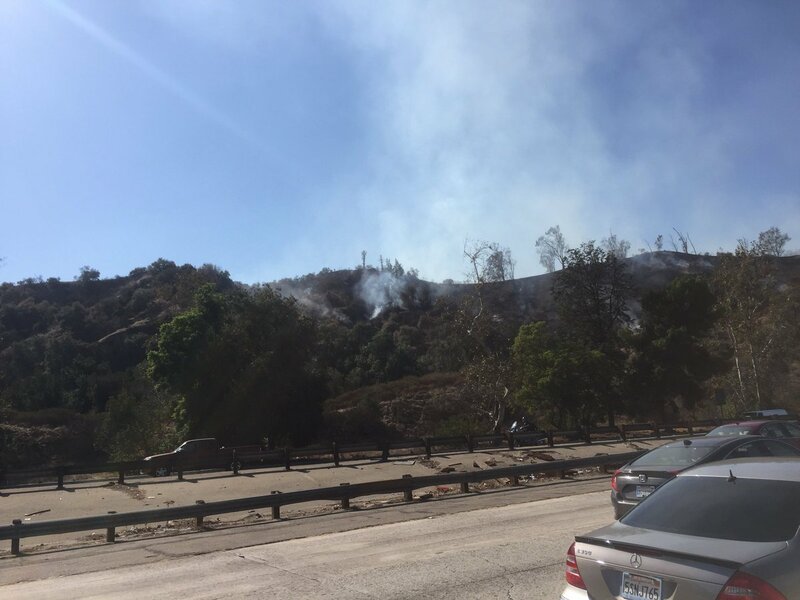 Firefighters have stopped forward progress at brush fire near Griffith Park. Traffic along the 134fwy is starting to move again. 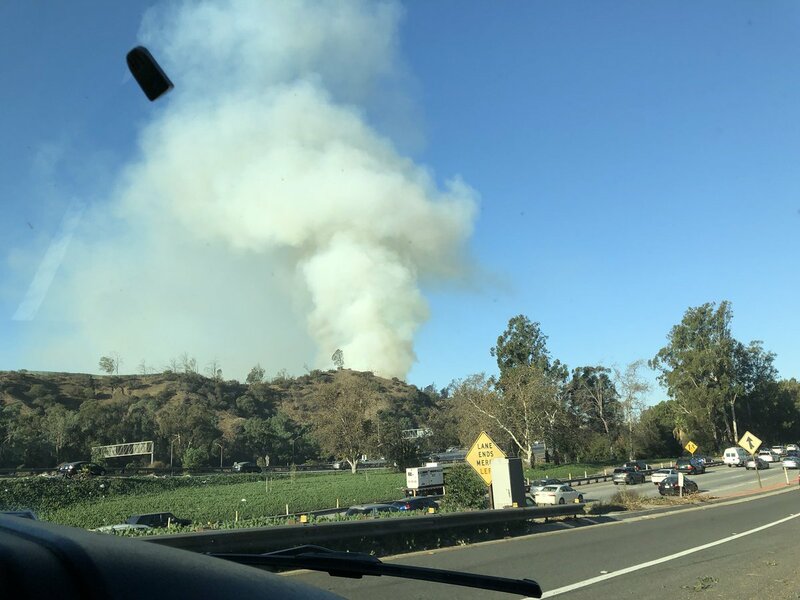 Freeway off ramps at Riverside, Crystal Springs, and Zoo Drive are closed as firefighters battle a brush fire near the @LAZoo. 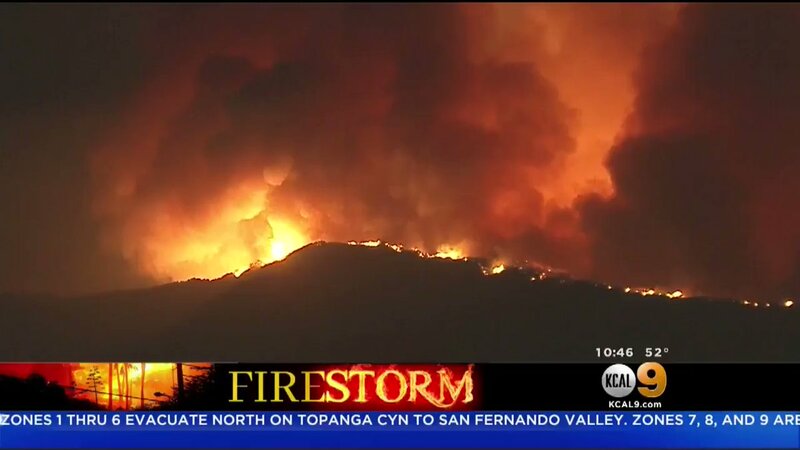 Ventura County Fire chief: yesterday we had two significant fires start. 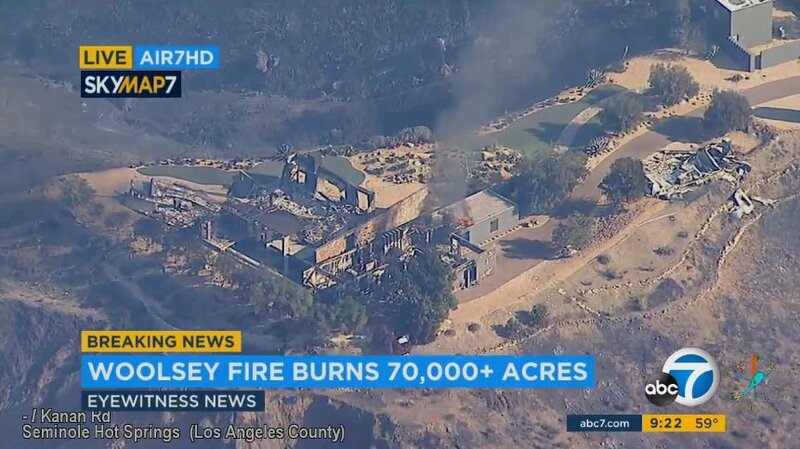 The #WoolseyFire is over 10,000 acres and growing. No fatalities, a number of structures lost overnight. Getting an update on the WoosleyFire from officials at the command post in T.O. Heading to Brush fire at Griffith park. Rangers blocking entrance at Zoo Dr. and Riverside. 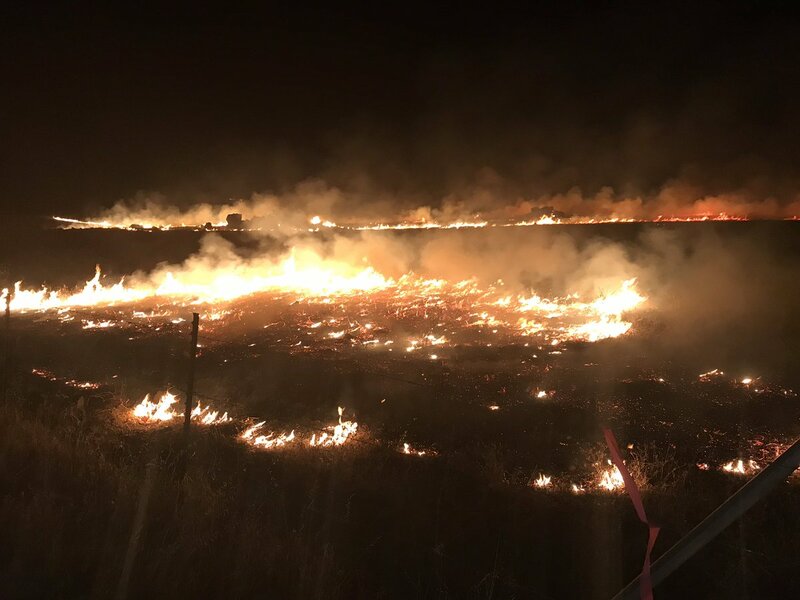 The CampFire in Butte County burned to 70,000 acres overnight and is 5 percent contained. 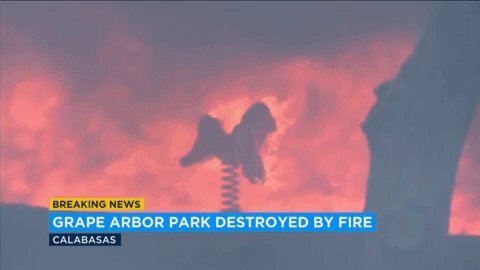 #WoolseyFire: Radio towers on Castro Peak are still a priority. Losing the towers will cause major communication issues. Earthquake centered nine miles northeast of Palomar Observatory rattles North County and East County residents. 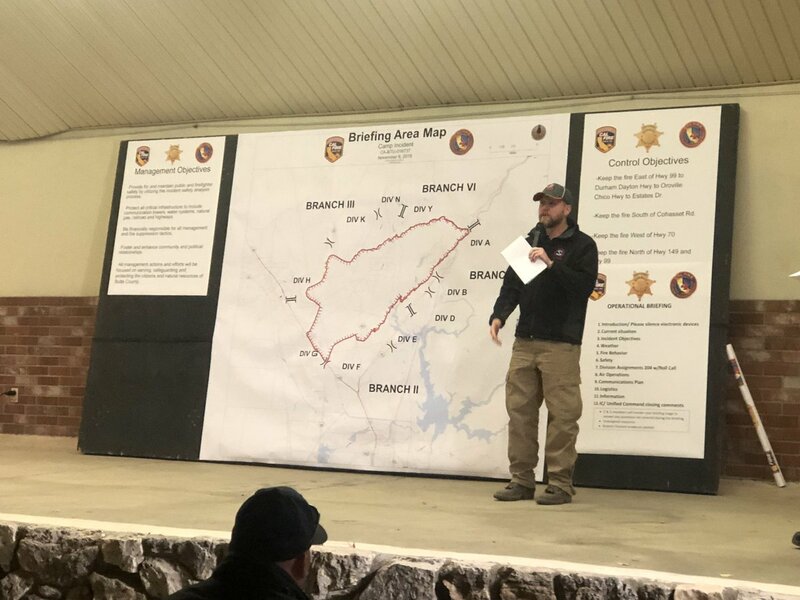 Operational briefing for CampFire underway at Butte County Fairgrounds. Objetives are to keep it East of Hwy 99 to Durham Dayton Hwy to Oroville Chico Hwy to Estates Dr. West of Hwy 70. Keep it South of Cohasset Dr. and North of Hwy 149. 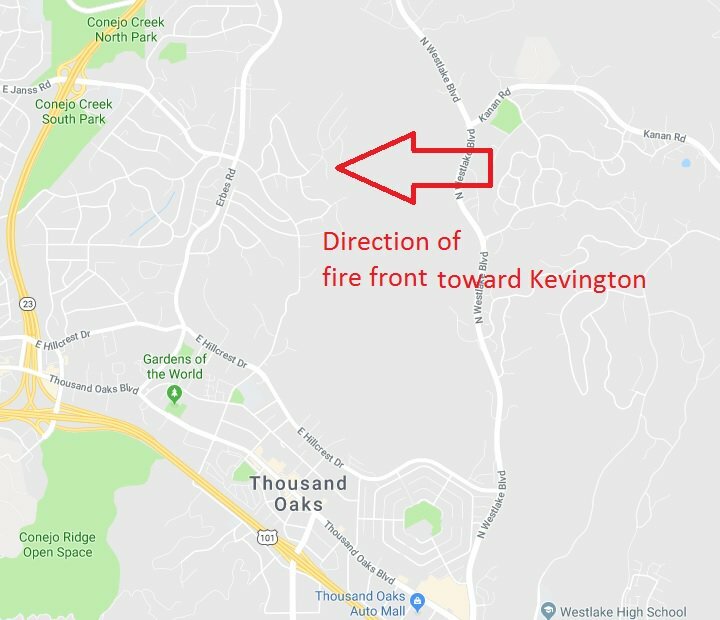 Prelim magnitude 3.6 earthquake hits 4 miles east of Aguanga at 6:45 a.m.
WoolseyFire: The fire spotted west across Cornell Road and is just north of Malibu Lake. Fire is well established. Skyway - at Paradise Inn. Both sides of road destroyed. 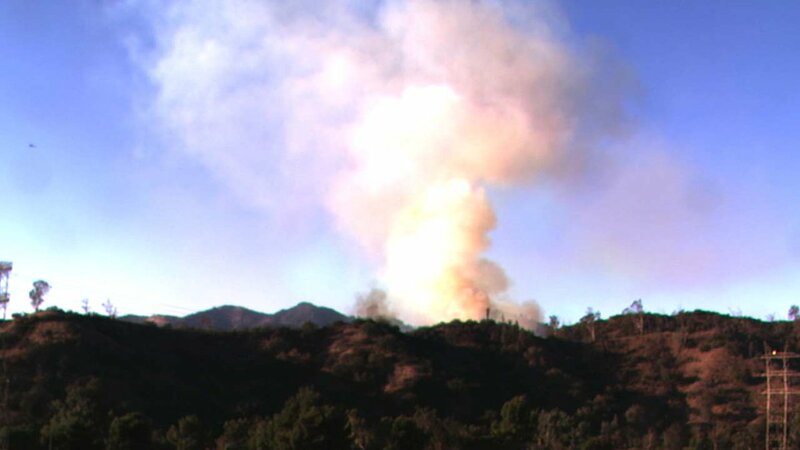 WoolseyFire: The fire is well established north of Mullholland and moving towards Malibu Lake. 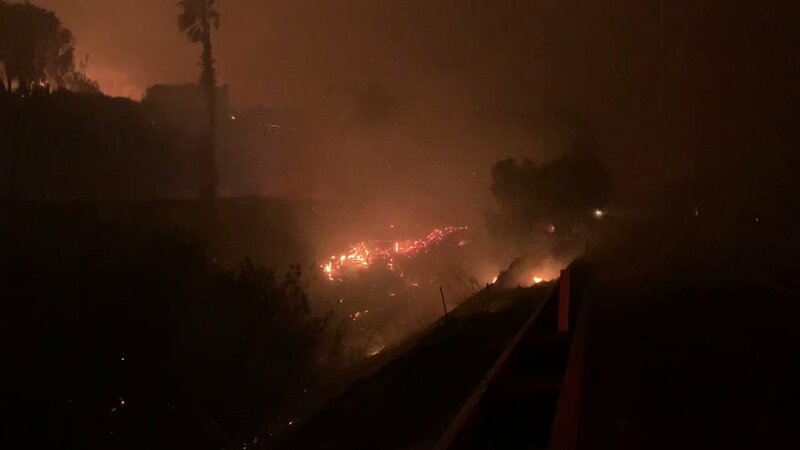 #WoolseyFire Hwy 101 closed both directions at Liberty Canyon Rd. Fire has crossed and established on south side of freeway. Approximately 3 acres moving uphill. [email protected] responding to a reported brush fire in the area of Timber Canyon between Santa Paula and Fillmore. Units have not yet arrived on scene. 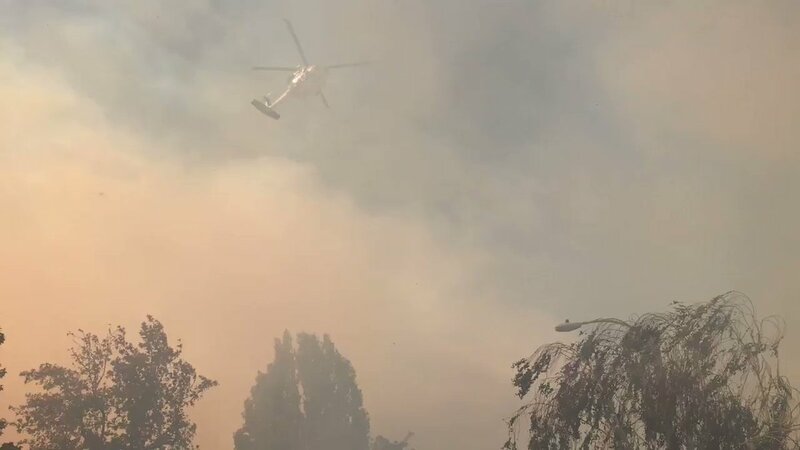 #CampFire: An Evacuation Order has been issued for the area of Stirling City and Inskip. 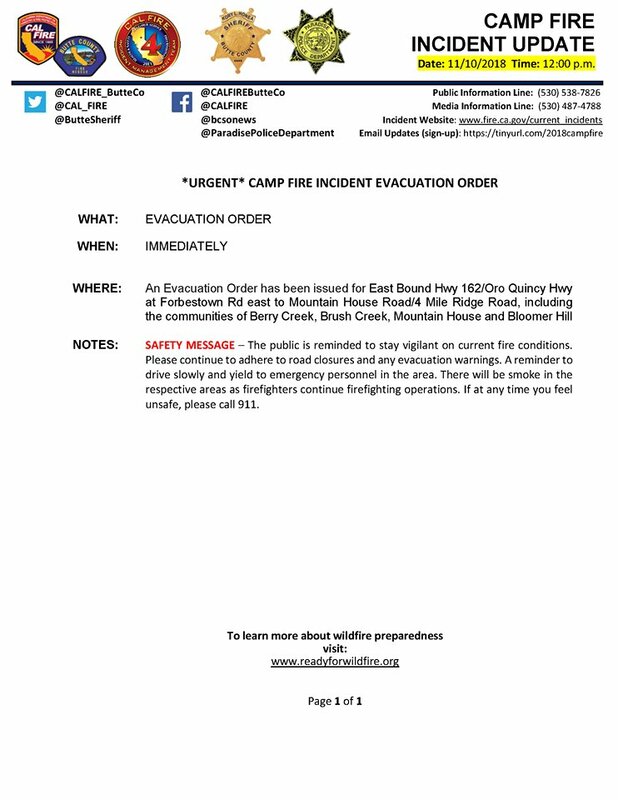 Residents are advised to exit up through Butte Meadows and down Hwy 32. 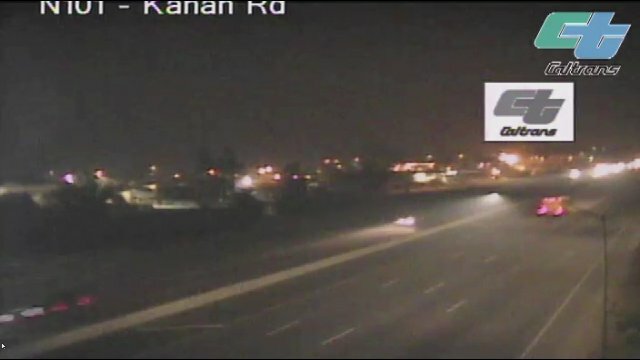 5:25a--CHP confirming they are in the process of shutting down the 101 Fwy. 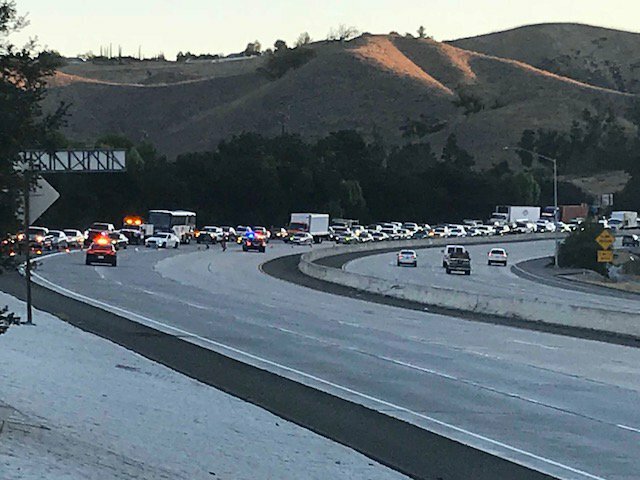 NB 101 will be closed at Las Virgenes, SB 101 will be closed at Kanan Rd. The fire has jumped the fwy. This is a 4-mile stretch. 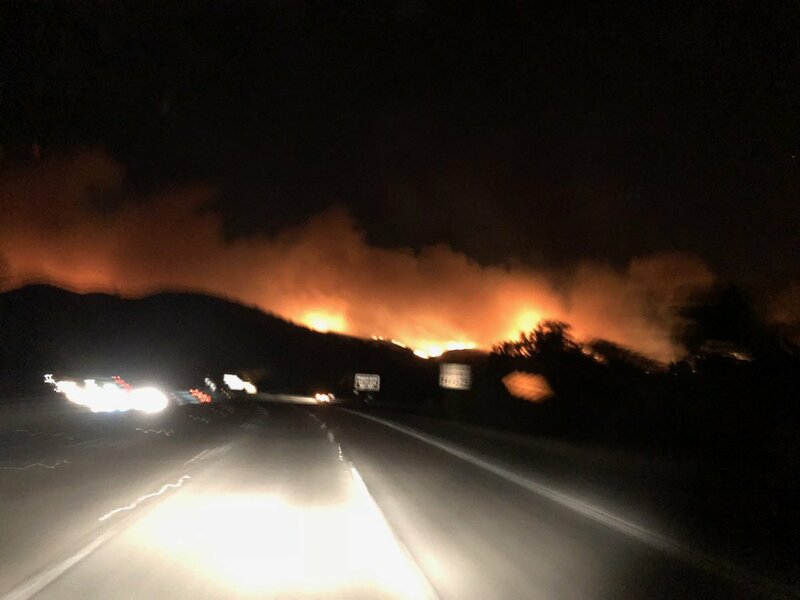 WoolseyFire has jumped Hwy 101 near Chesebro Rd. 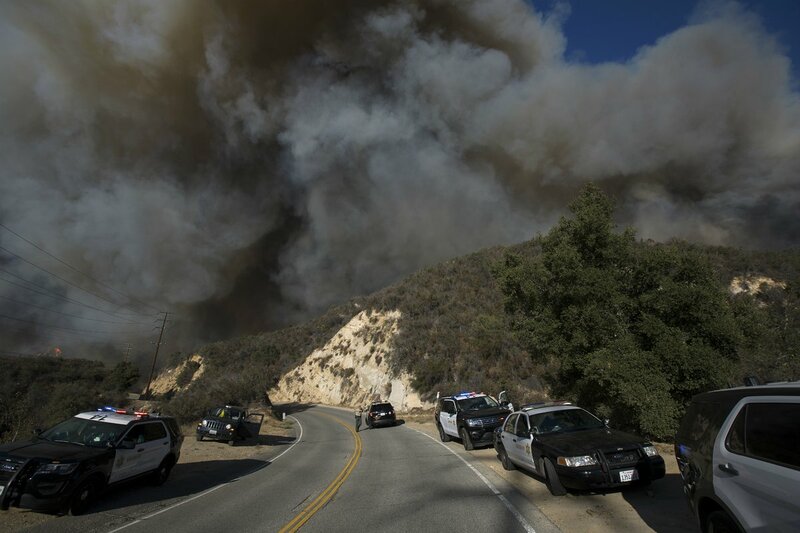 All schools in the Las Virgines Unified School District in Calabasas, along with the Viewpoint School, Montessori of Calabasas, Montessori of Calabasas Too and Muse School are closed Friday due to the #WoolseyFire. 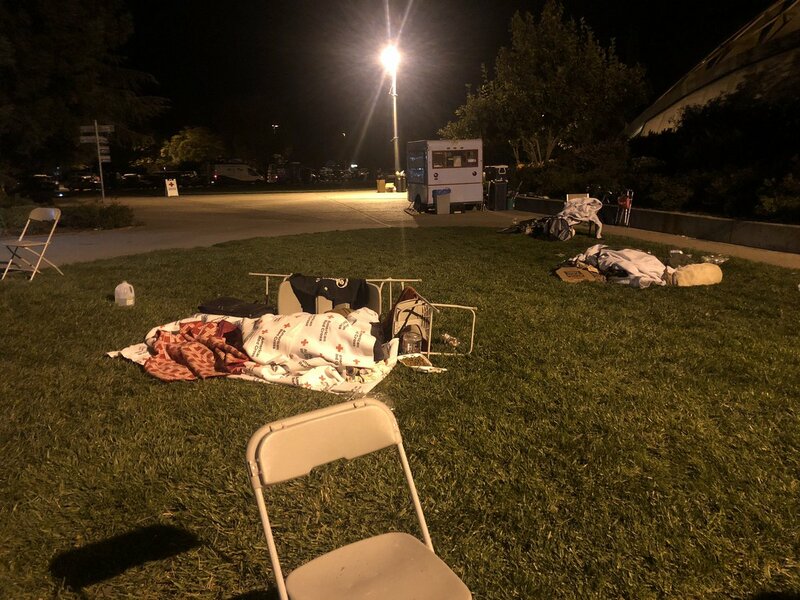 Many people have decided to sleep outside of the Neighborhood Church of Chico. The shelter is at capacity, those who aren't sleeping inside, are on the lawn or in their car. 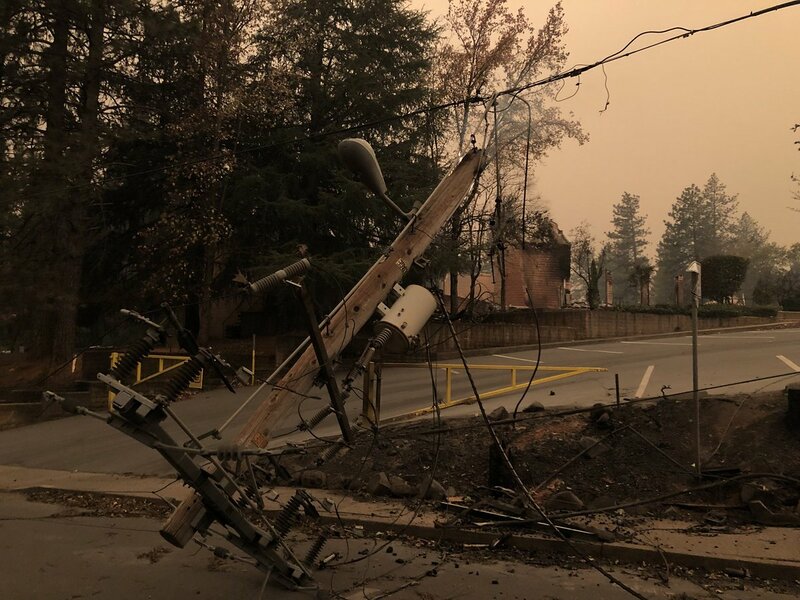 #CampFire update from City of Chico Police Chief Mike O'Brien: "There is no immediate threat to the city of Chico right now. 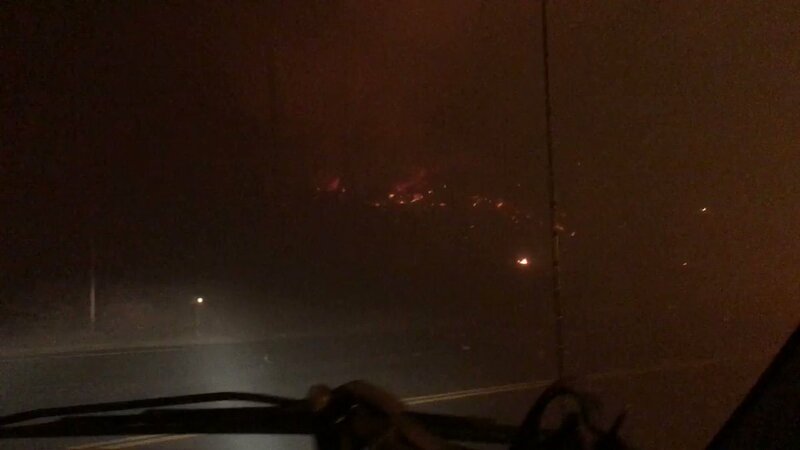 The fire is being kept south of Highway 32." The Chico State campus area remains safe. 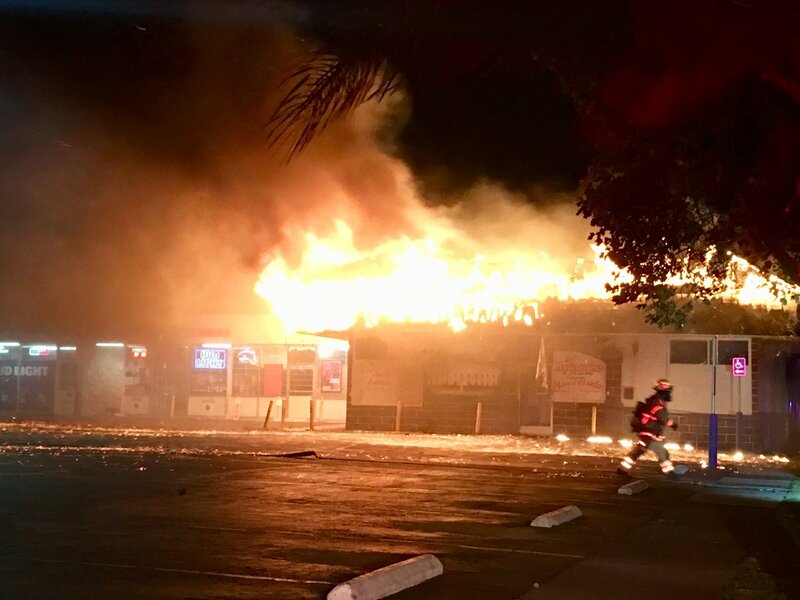 Santa Ana Structure Fire: 3:15 am. 2300 block of 1st St. Crews were able to quickly knockdown a fire on the roof of a restaurant in a strip mall despite the winds. 65 firefighters onscene. No injuries reported. 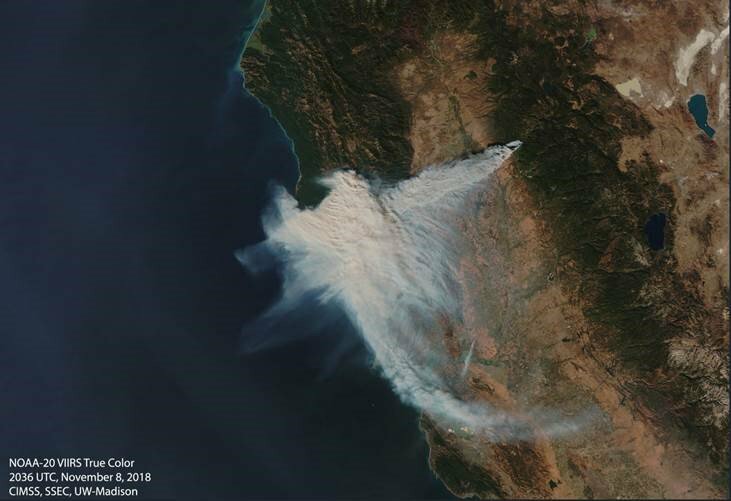 If you smell smoke in the Bay Area this morning, this is why. 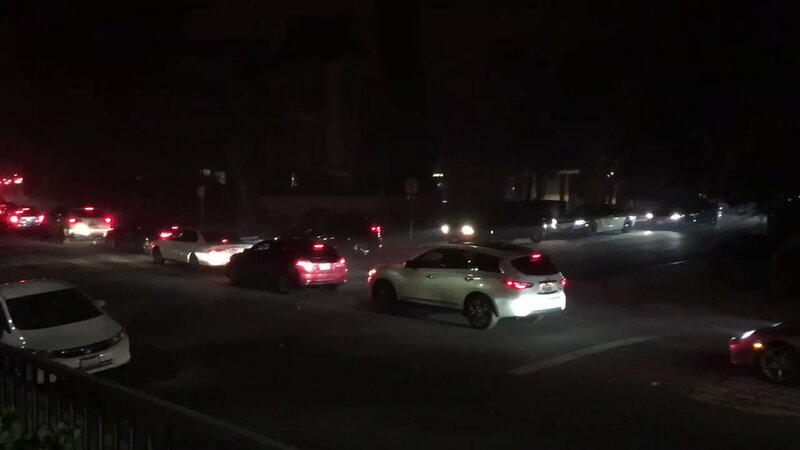 Smoke from the Camp Fire is drifting over the Bay Area right now. 4:10am-Pierce College is accepting standing-room only for horses. Hansen Dam Equestrian Center is also taking horses. So far that space is less crowded. 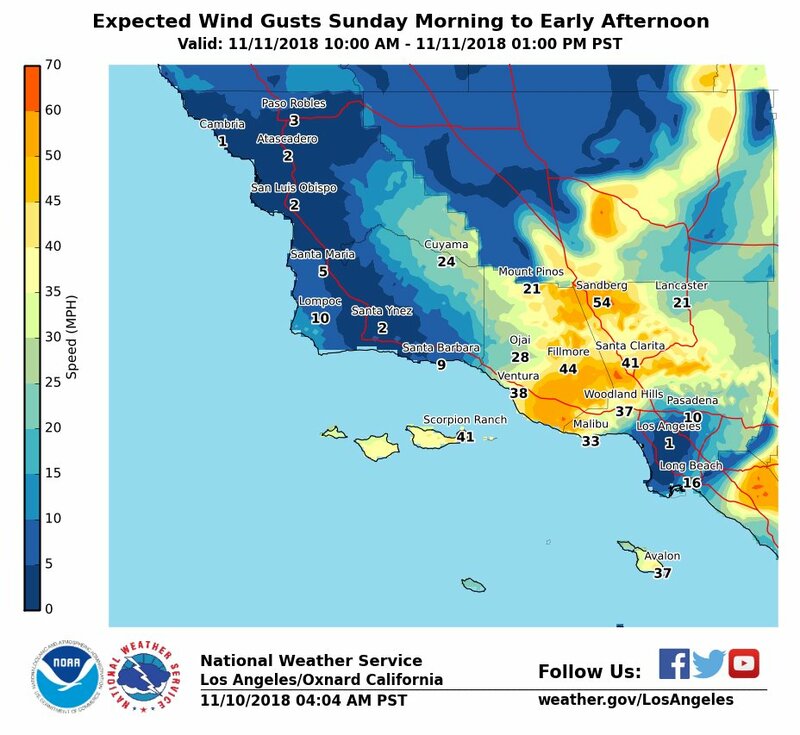 Cal Lutheran will be closed today, Friday, Nov. 9, except for emergency personnel. 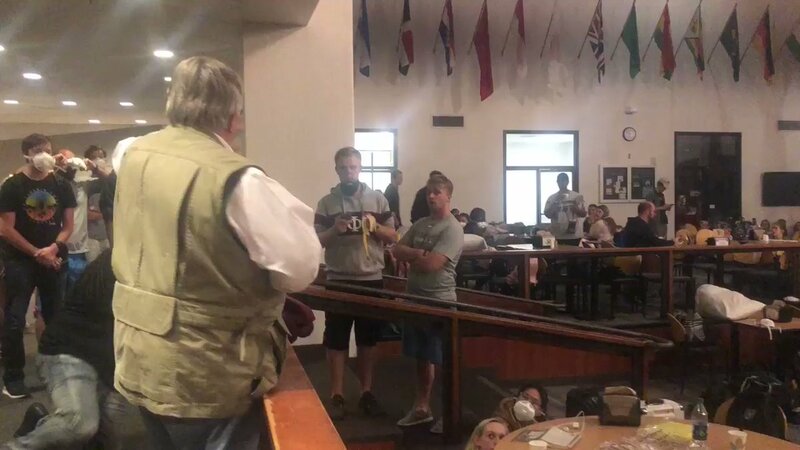 The university is not under fire evacuation orders but residential students are on standby. Butte County: Superintendent of Schools announced the closure of all public schools, district and charter in Butte County. 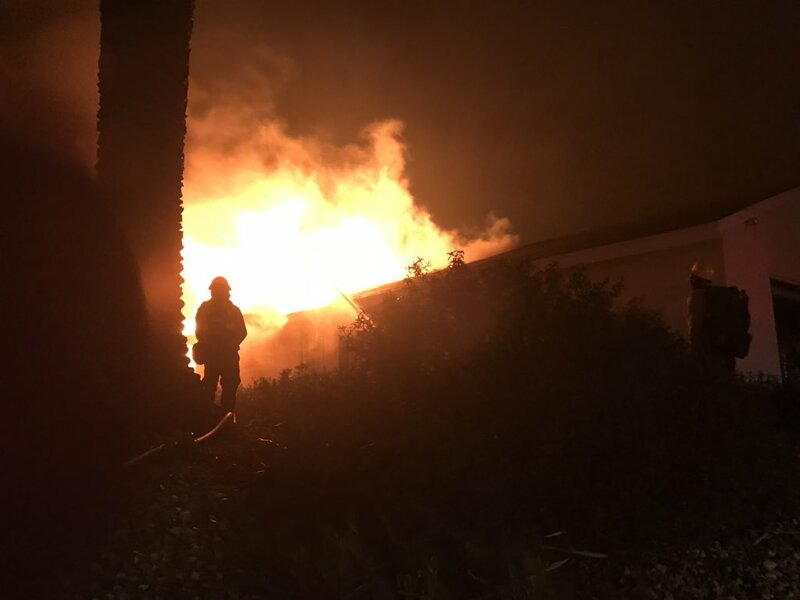 #WoolseyFire (Ventura Co) - Unit reports roof of an apartment complex on fire in the Westlake Canyon Apt complex, 2338 Fountain Crest Ln off N Westlake Blvd, addl engines requested. 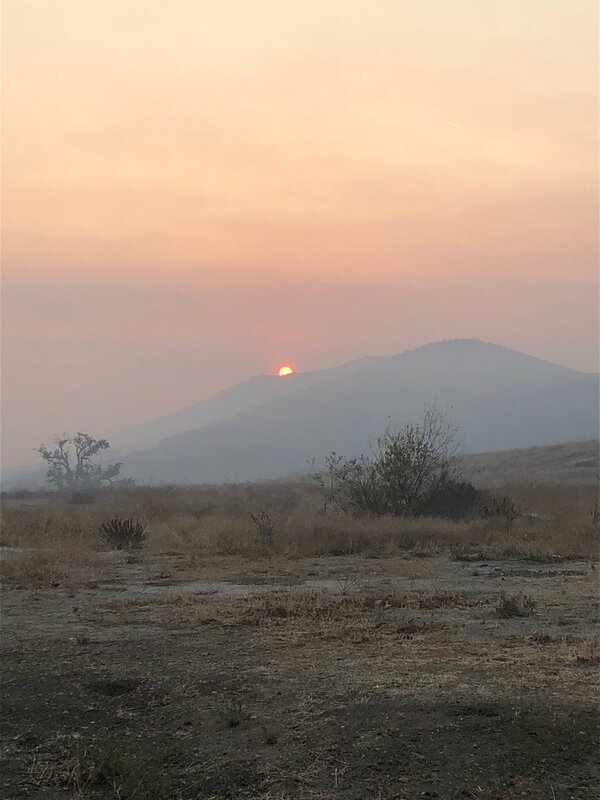 #WoolseyFire is backing downhill, against the wind from the Albertson Fire Road into the Wood Ranch area. 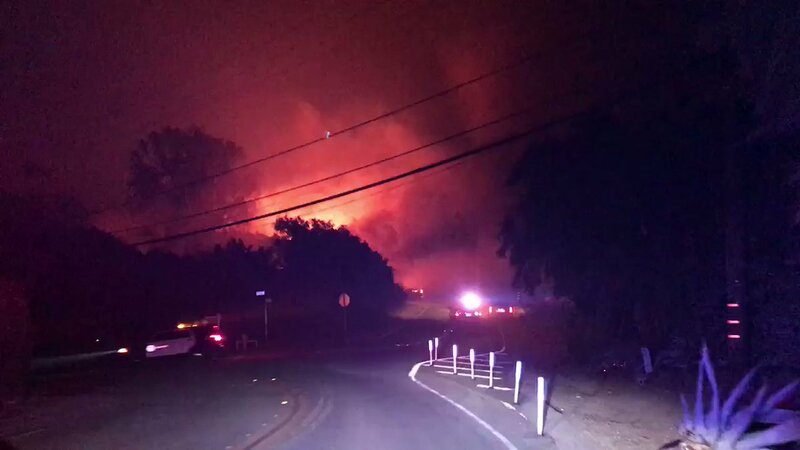 Now: Flames burning in Thousand Oaks near Conejo Valley Church of Christ where multiple structures have burned. 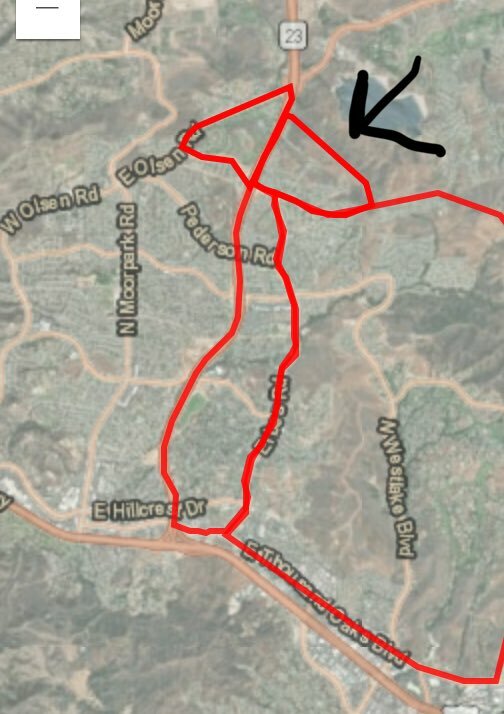 3:18a-Evacuations going on in this area. The 101 is getting busy with people leaving. Firefighters couldn't save this Oak Park home on Wembly Ave. The #woolseyfire devastating the area. 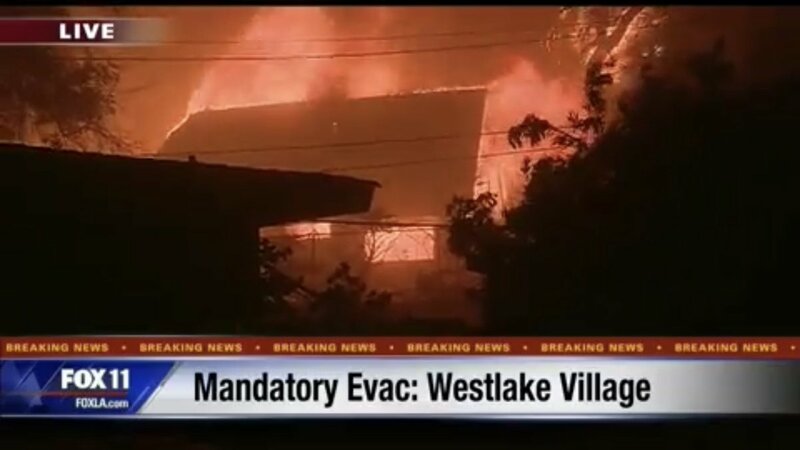 Westlake Village is now under mandatory evacuation. 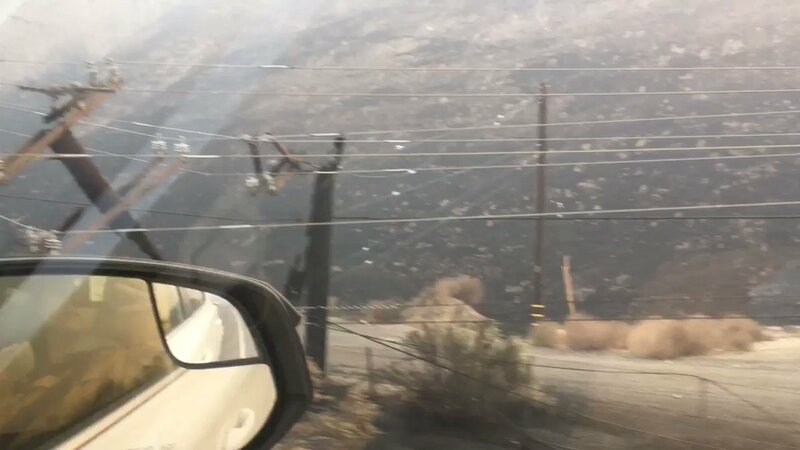 #WoolseyFire Voluntary evacuation: South of Hwy 101 and north of Potrero Rd. between Westlake Blvd. 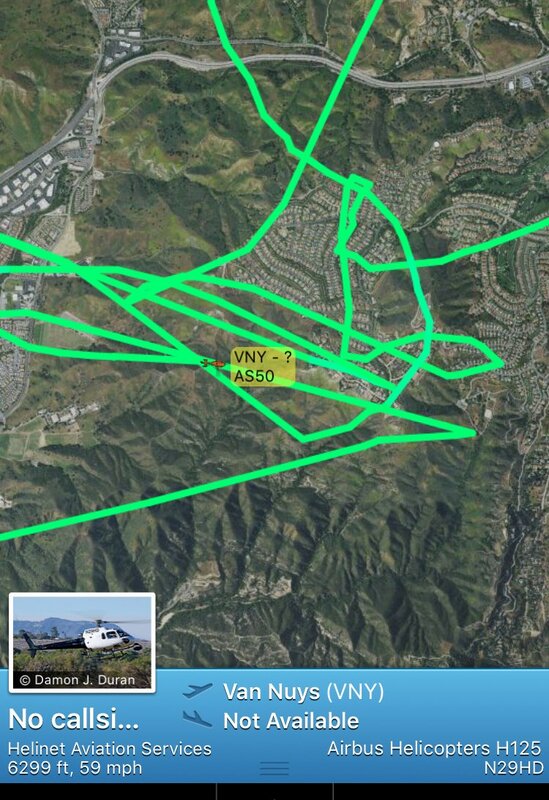 and Wendy Dr.
#WoolseyFire LA Co Sheriff evacuating this Agoura Hills neighborhood. On Thousand Oaks Blvd. 7500 acres burned. Homes lost. Many threatened. Windy. Dry. Area shelters filling up fast. This one at Pierce College. 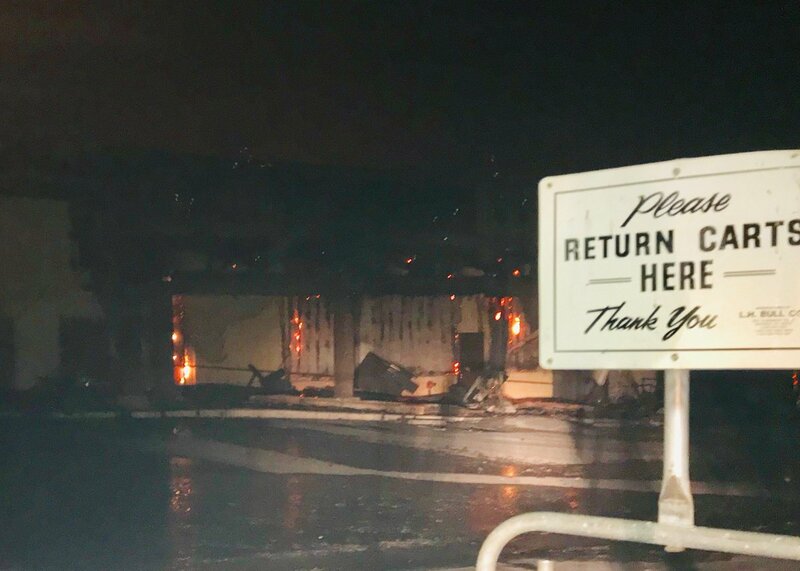 #WoolseyFire Reports that Los Robles Hospital is being evacuated are NOT TRUE. 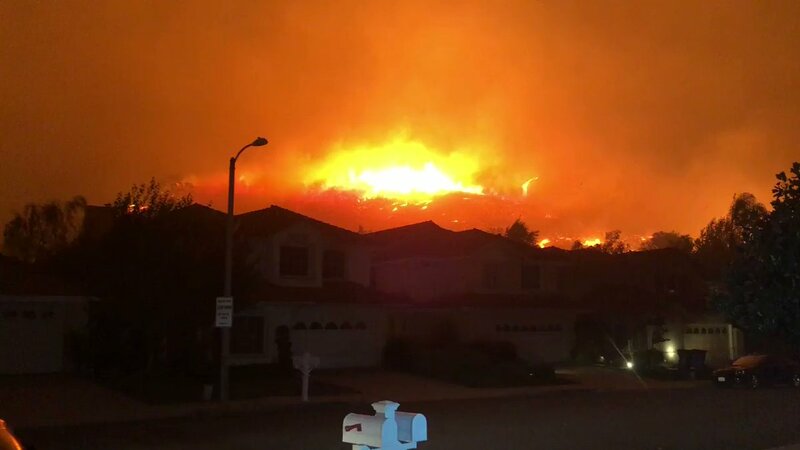 Rolling Ridge/Hempstead in Agoura Hills, in last 20 minutes these flames have gotten much bigger and closer to homes in this neighborhood. 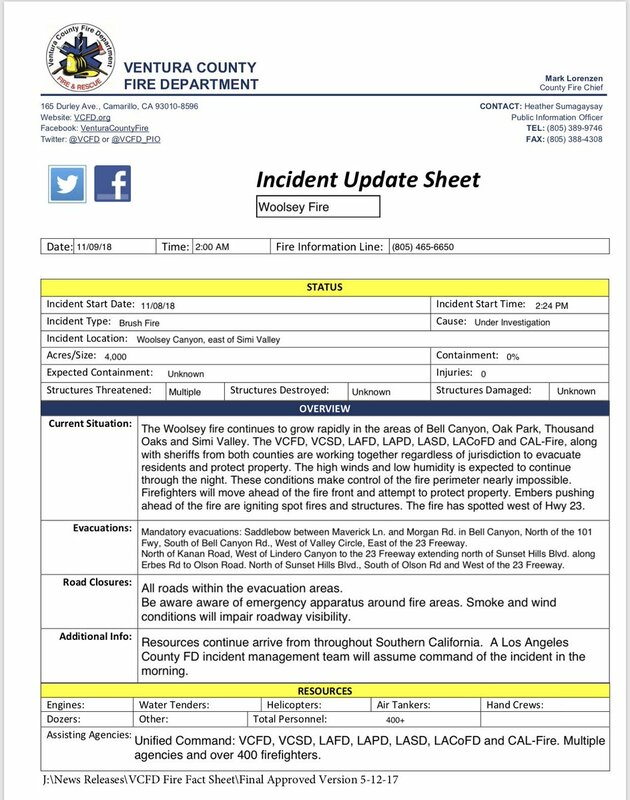 #WoolseyFire (Ventura Co) - IC reports fire now 10,000 acres. 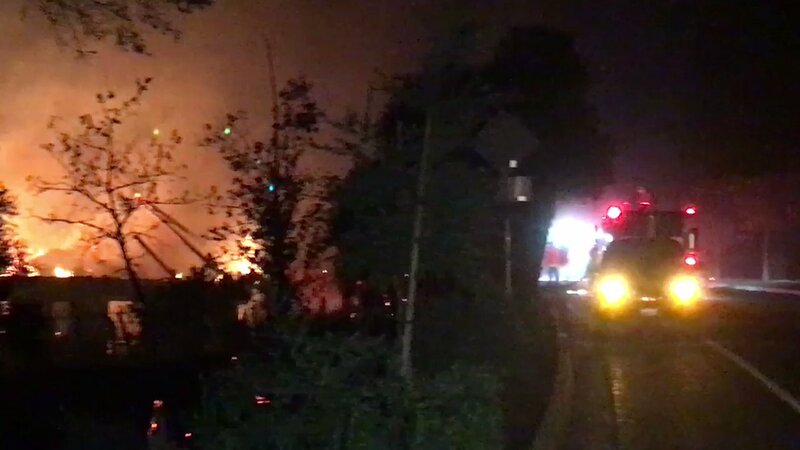 Immediate life threat in the area east of Erbes Rd on the streets running off Sapra St, houses being impacted with residents still inside houses. The City is opening the Goebel Adult Community Center at 1385 E.Janss to accommodate overflow from the adjacent Teen Center evacuation center. 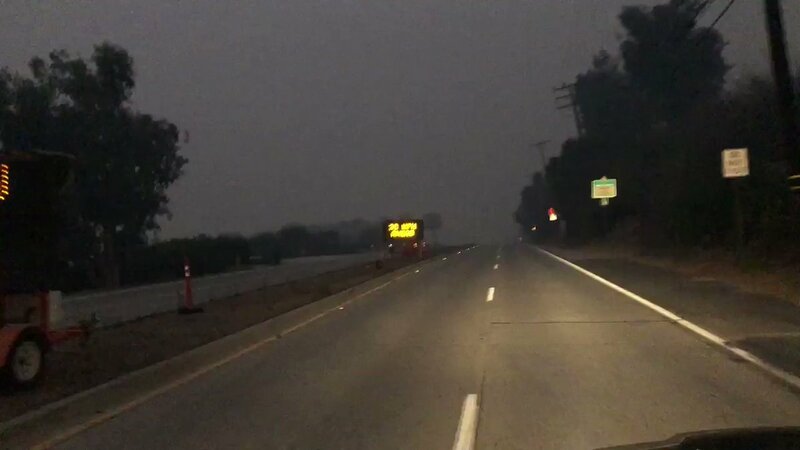 Santa Rosa Junior College in Santa Rosa will be closed Friday because of the smoke from the CampFire in Butte County, college officials said. said. 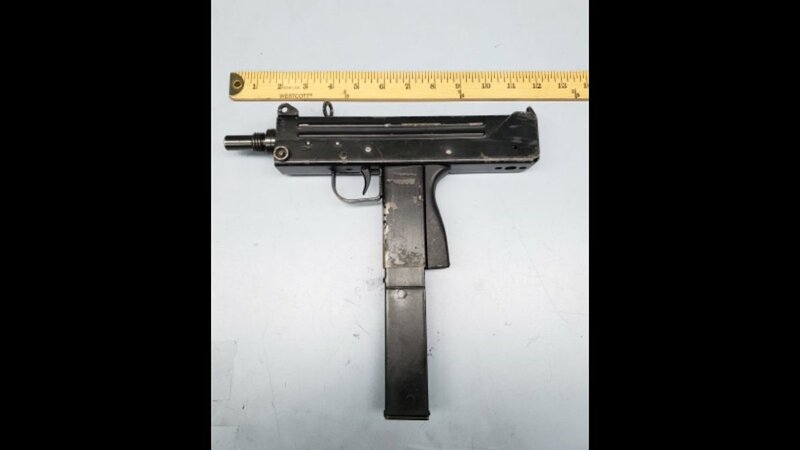 Lang Ranch Parkway is threatened now. Strike teams heading there for structure protection. 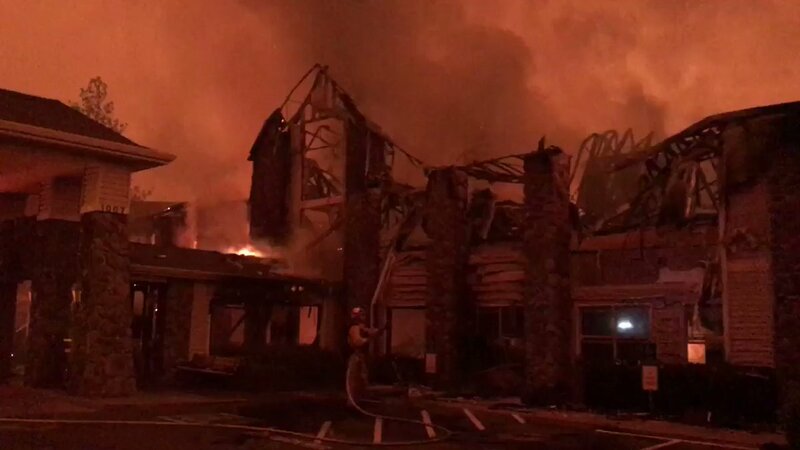 The Safeway shopping center on Clark Road in Paradise continued to burn until late in the evening. 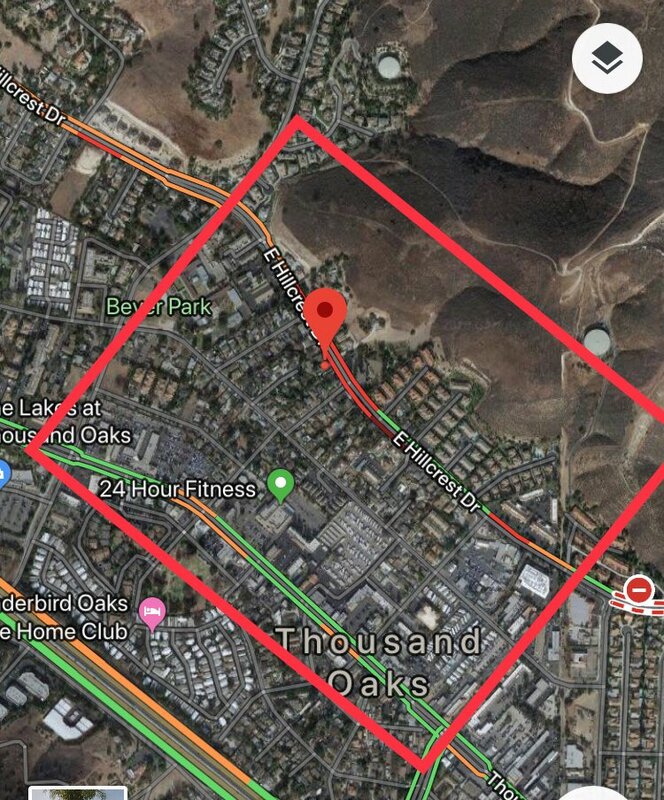 #WoolseyFire Units are requesting expansion of mandatory evac in Thousand Oaks Blvd east of Erbes and South of Arboles. #WoolseyFire. New Evac center at the Thousand Oaks Teen Center, 1373 Janss Rd, Thousand Center. #WoolseyFire - 7,500 acres. 30,000 people evacuated. 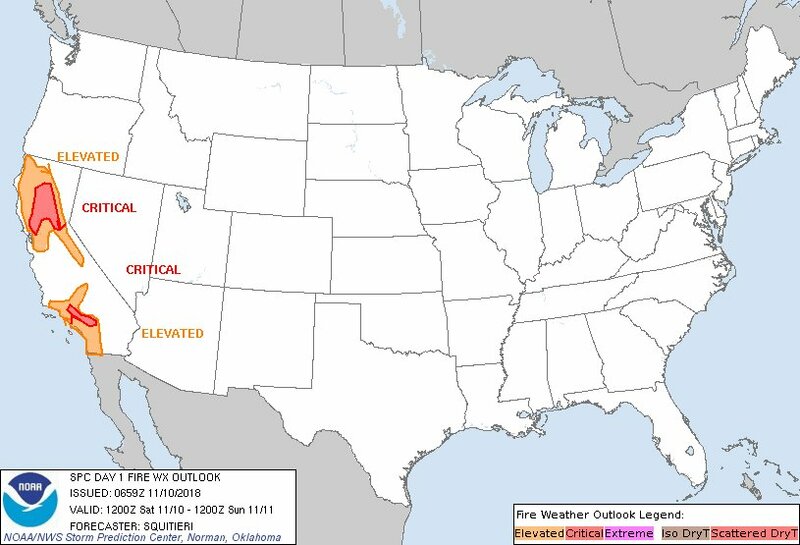 1,000 homes threatened. Multiple structures destroyed. 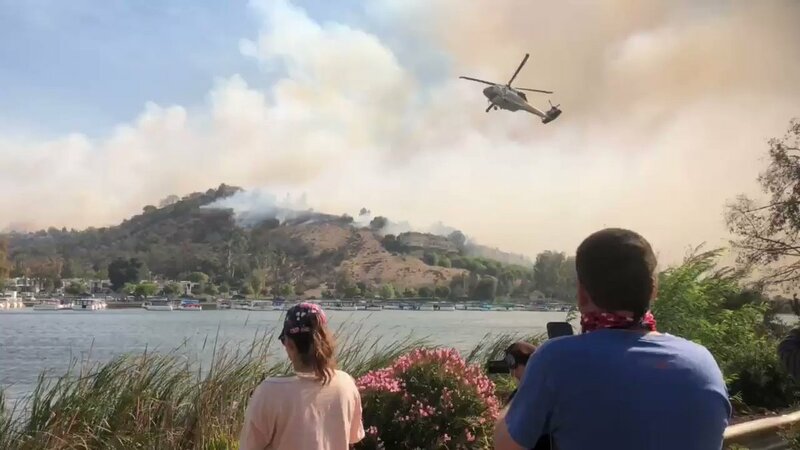 Evacuations changing frequently. 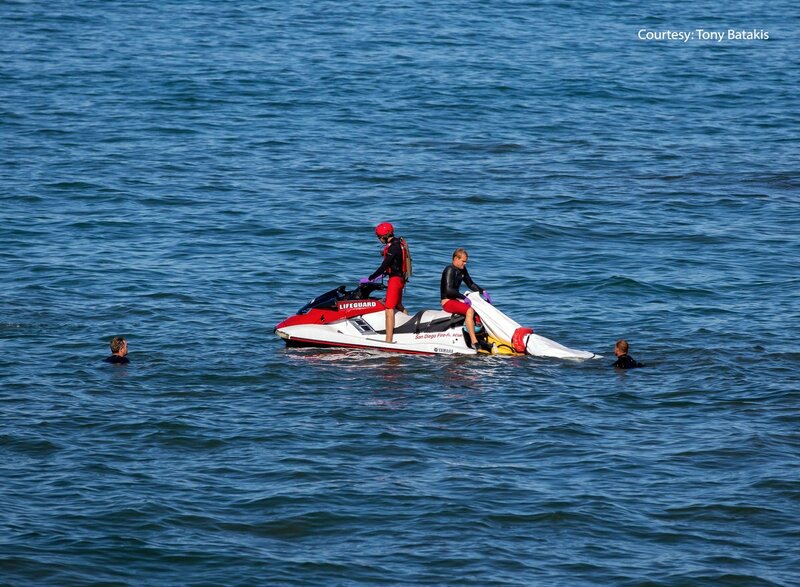 Malibu Search Rescue: All persons south of 101 Freeway between Westlake Blvd on the west, Mulholland highway on the south and Las Virgenes on the east. Leave now. 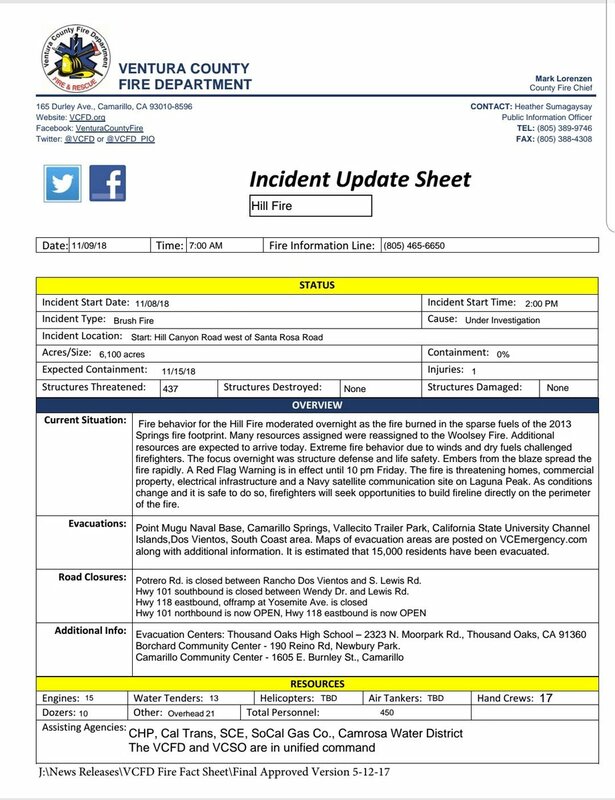 #WoolseyFire (Ventura Co) - Fire now 7,300 acres per Ops. 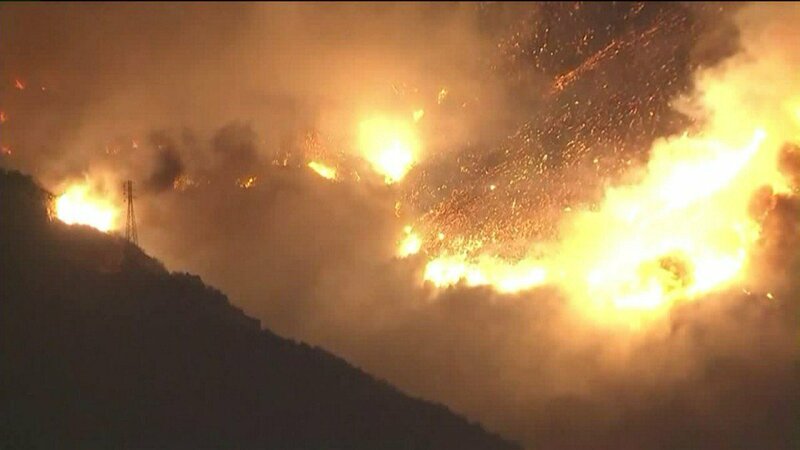 LA County preparing to evacuate south of the 101 Fwy to Mulholland Hwy, between Kanan Rd and Las Virgenes Rd. 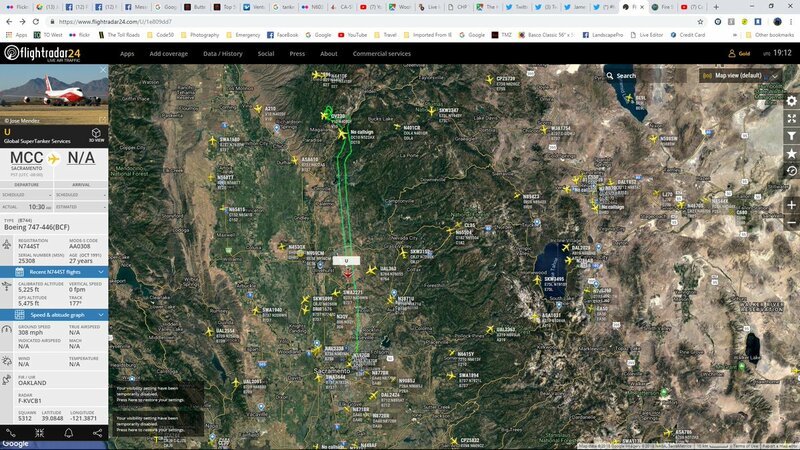 CampFire (Butte Co) - Units reporting the fire is making significant runs towards Magalia, reiterating need for mandatory evacs there (still confusion whether this was done previously or not). 30mph winds in alignment with the fire front. 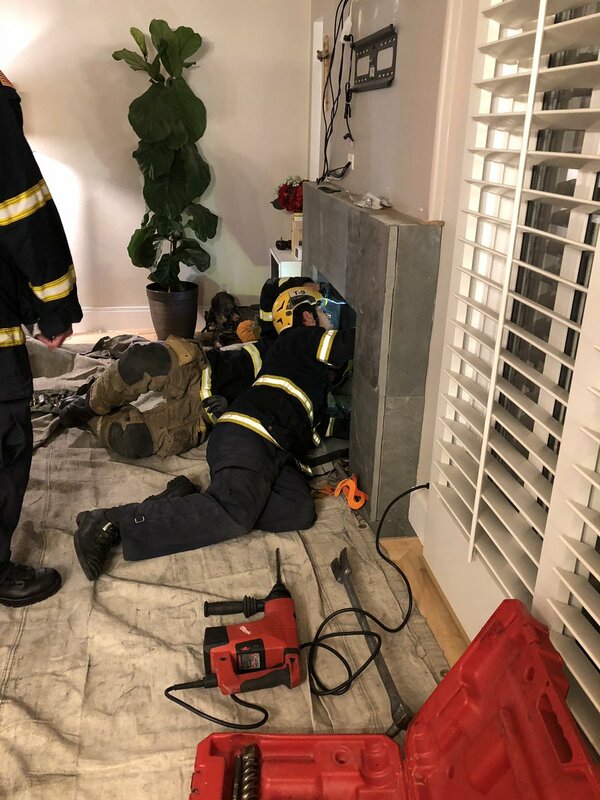 OCFA crews working to free a man stuck in a chimney in the 30300 block of Alcazar Ave, Laguna Niguel. Technical rescue teams are dismantling the chimney. 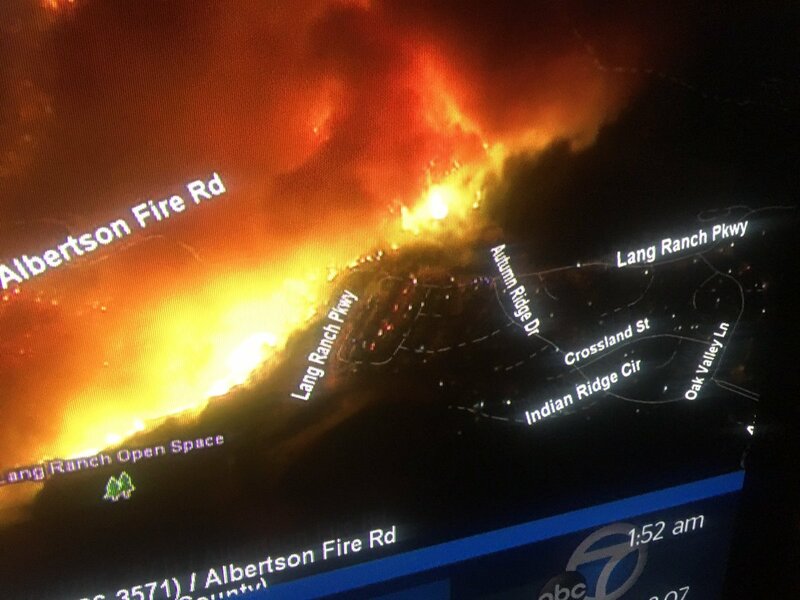 Fire headed for Lang Ranch. Paradise, CA (pop. 27,000) is "pretty much destroyed," in the words of a local fire captain tonight. #WoolseyFire has grown rapidly over the past few hours. 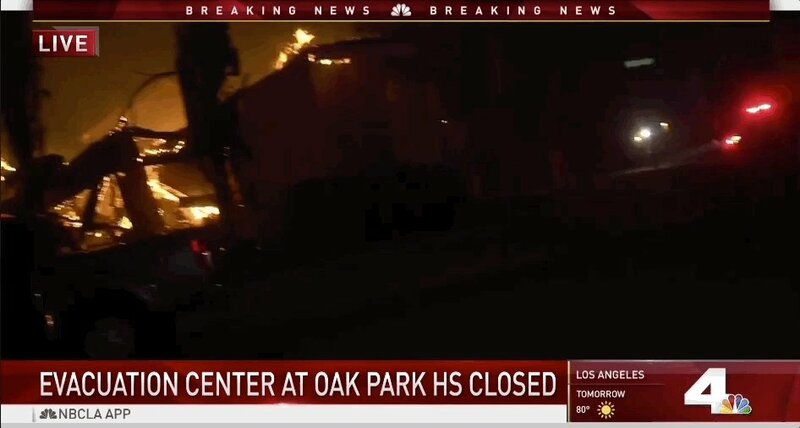 Multiple homes on fire at this time in Oak Park. Insane winds fanning huge flames above Ocho Rios and Rockfield streets. 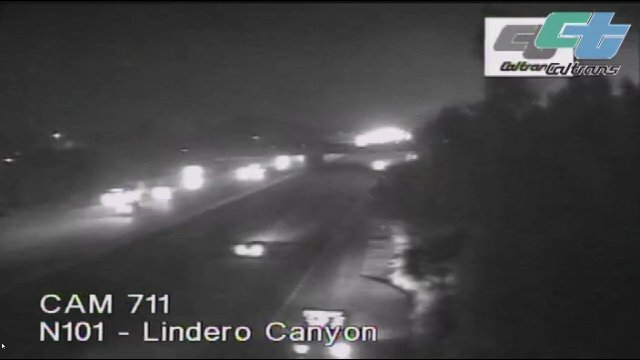 Long lines of cars evacuating along Lindero Canyon Road. Churchwood Dr and Monteleone Ave in Oak Park. 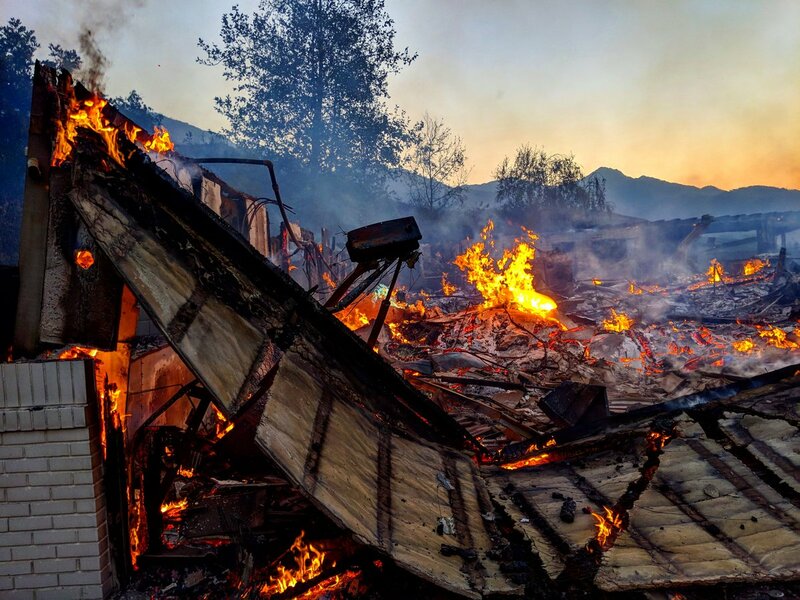 Homes being lost. The shelter at the Elks Lodge is full. 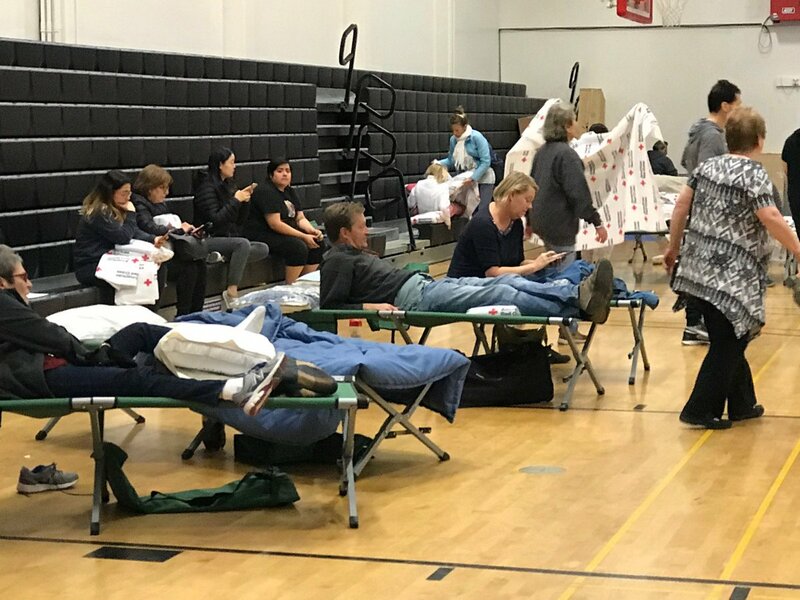 There are shelters at the Butte County Fairgrounds in Gridley and the Glenn County Fairgrounds in Oroville. 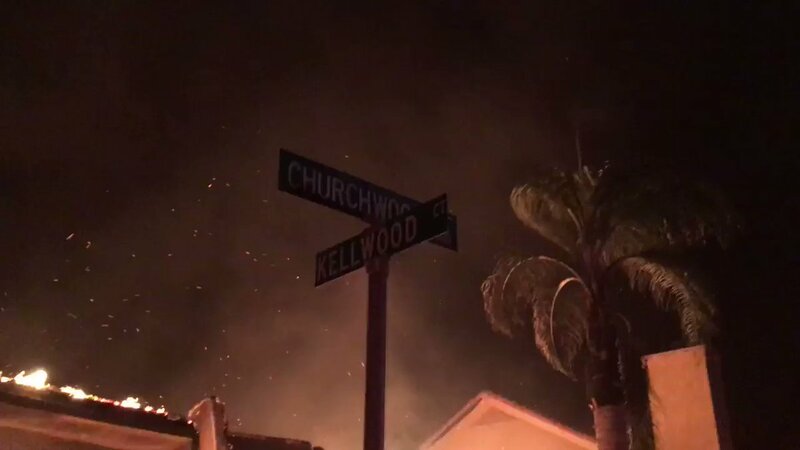 Homes are burning on Monteleone at Churchwood in Oak Park. 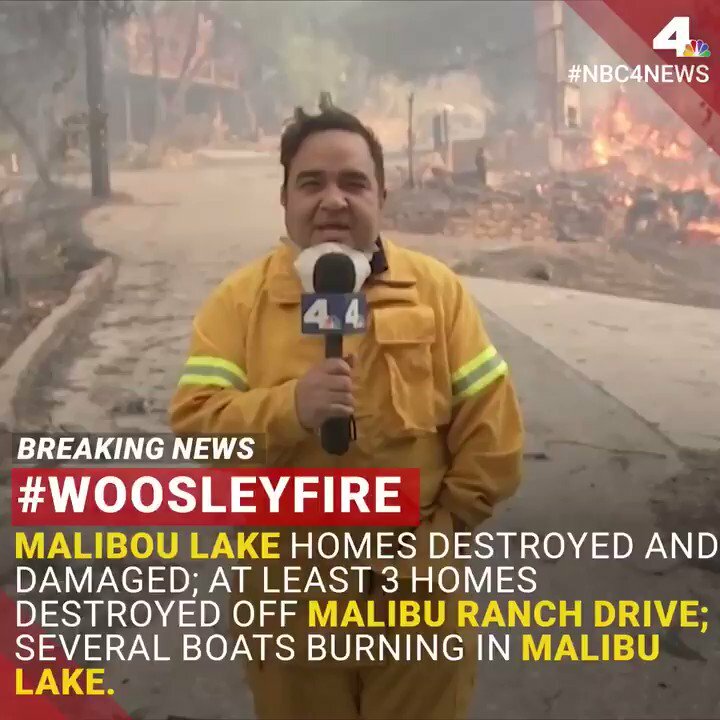 WoolseyFire Live reports continuing on ABC7. 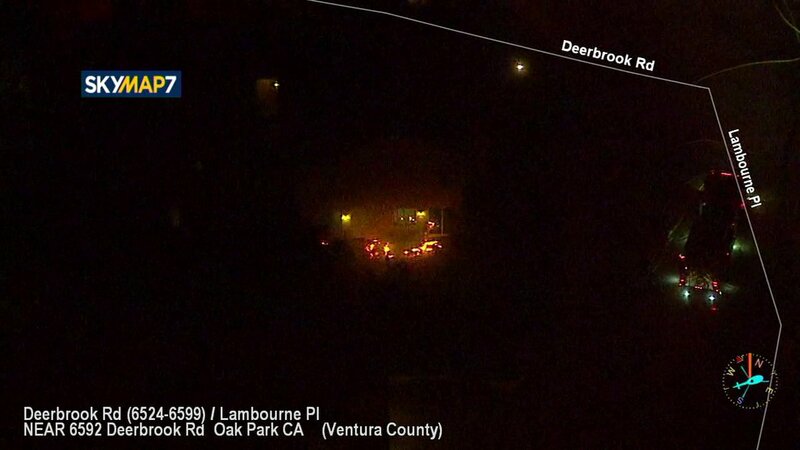 A growing blaze is burning dangerously close to homes in the OakPark area of VenturaCounty. @VCFD crews are actively defending structures in the area. WoolseyFire - Firefighters actively defending structures on north Lindero Cyn Rd. Mandatory evacuation order for all of OakPark. This is from back burning the wind is pushing the flames east, away from Chico.